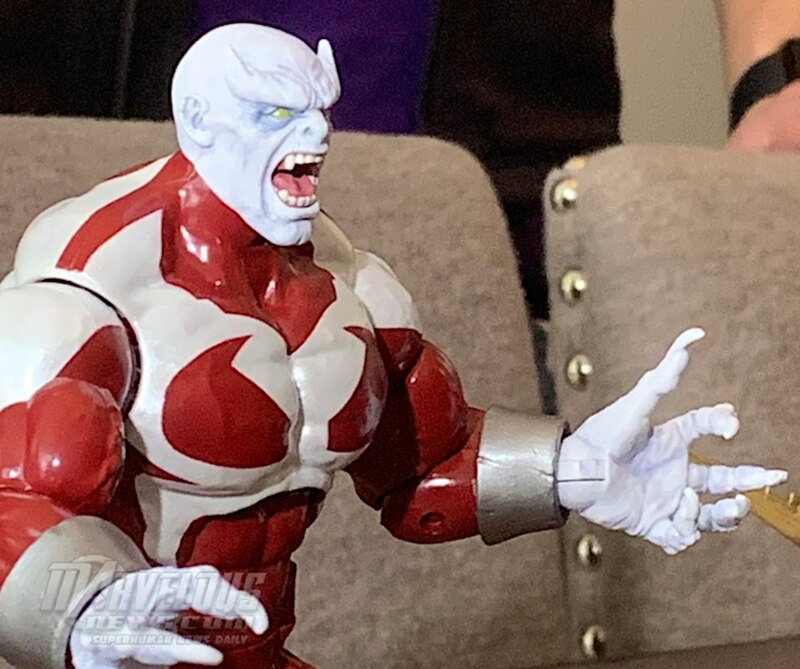 We're following the latest news and updates from #NYCC 2018. 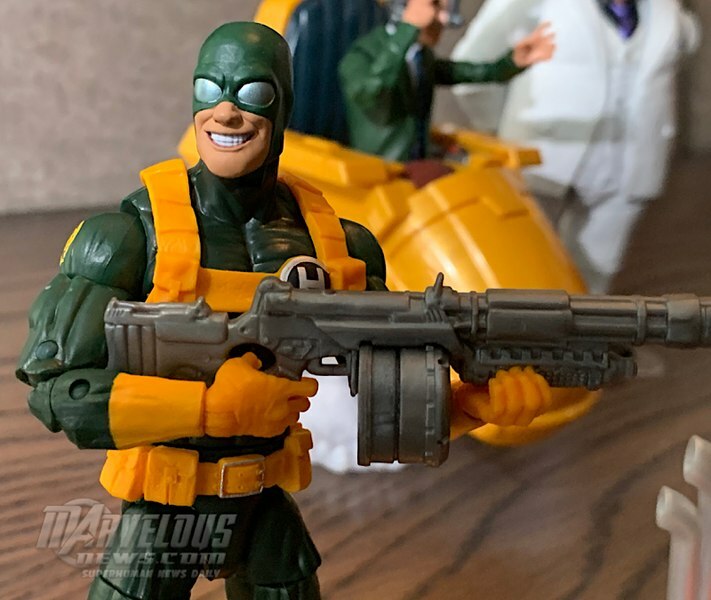 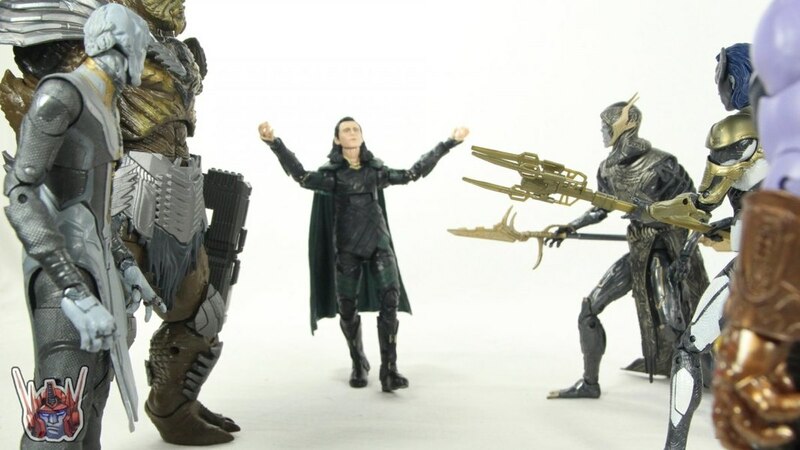 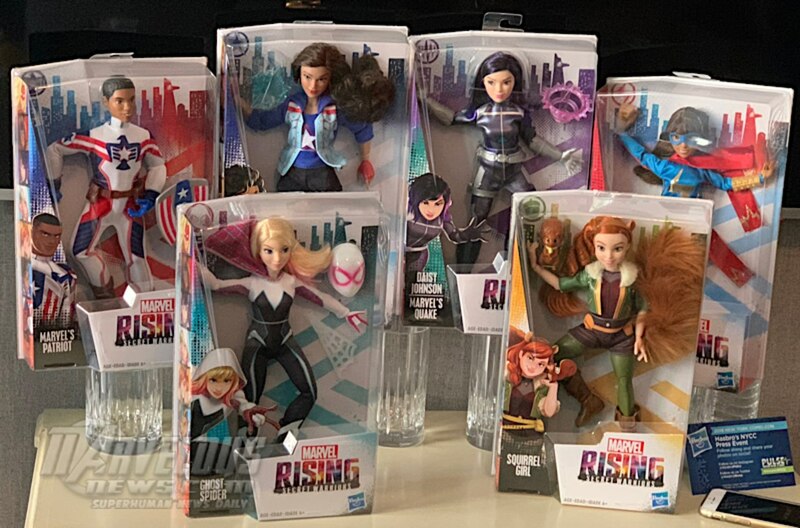 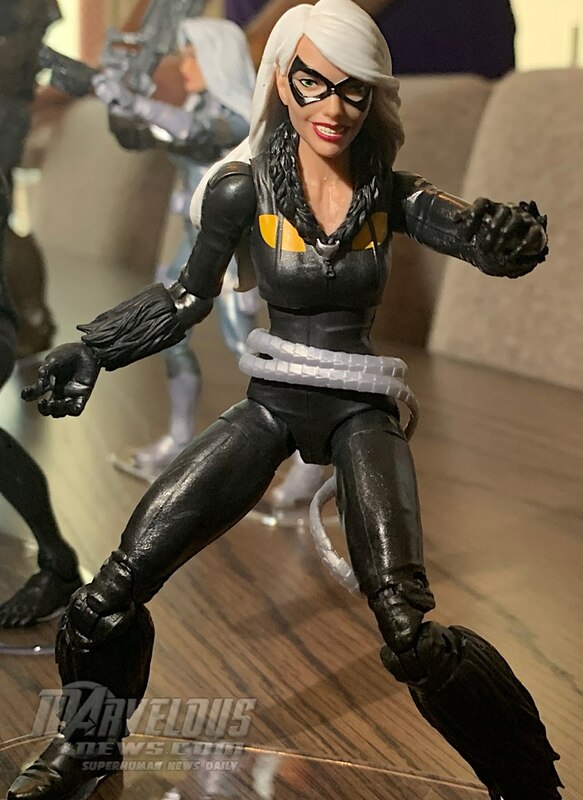 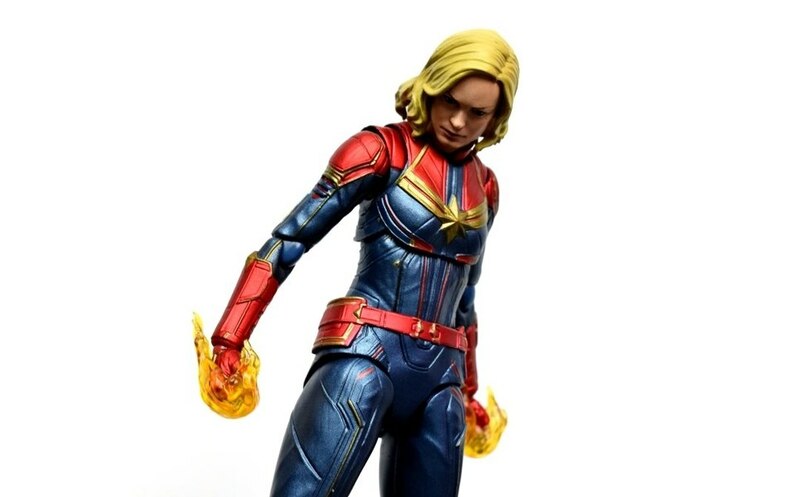 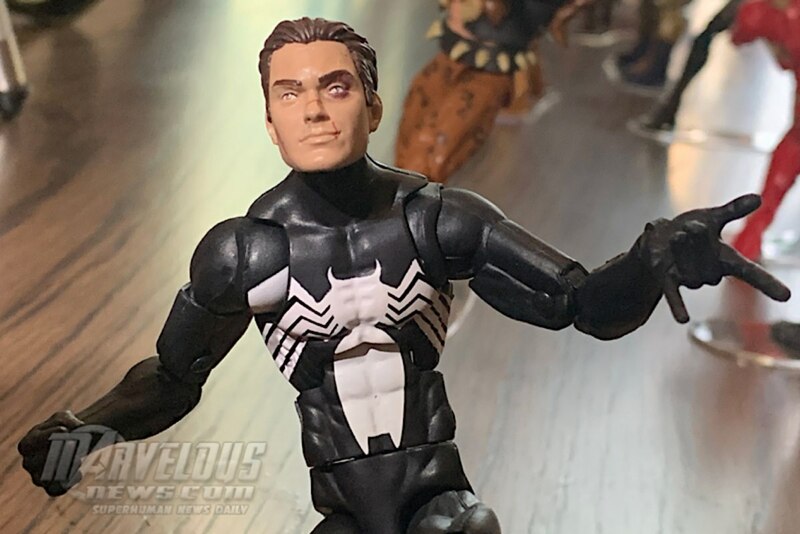 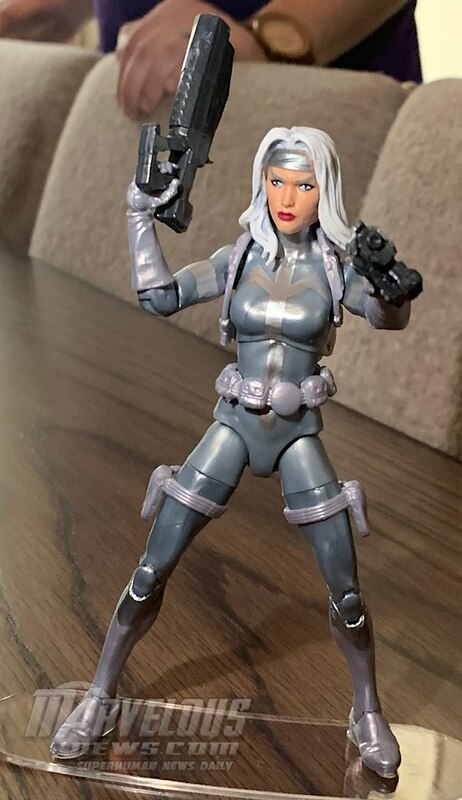 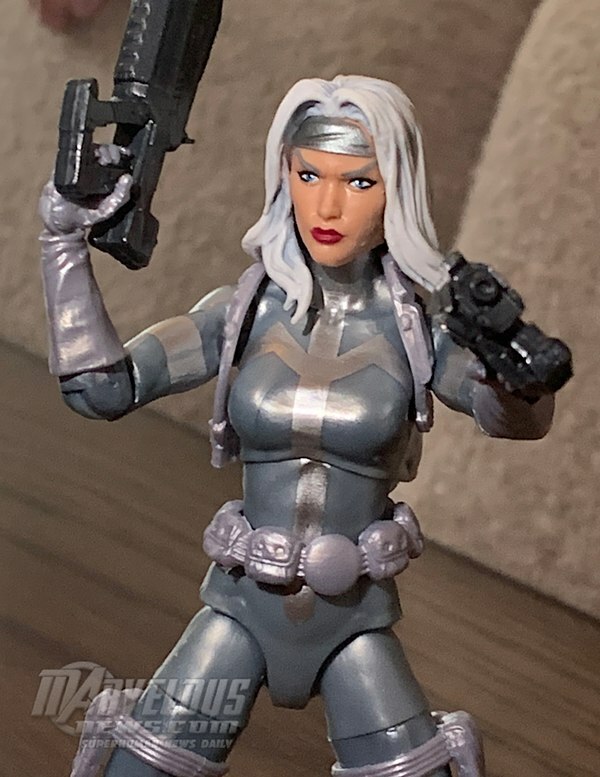 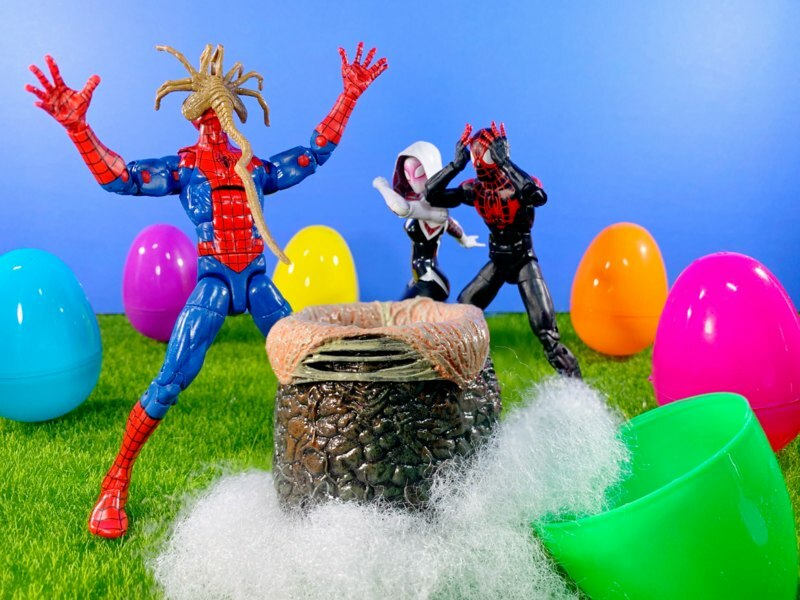 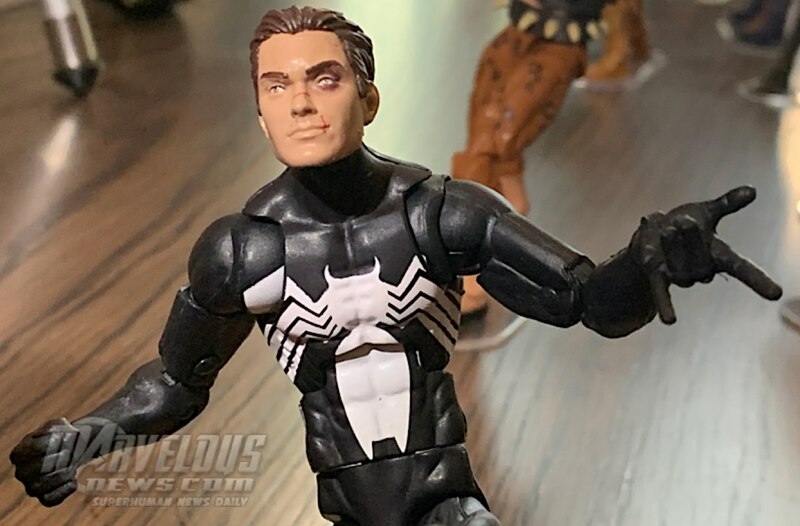 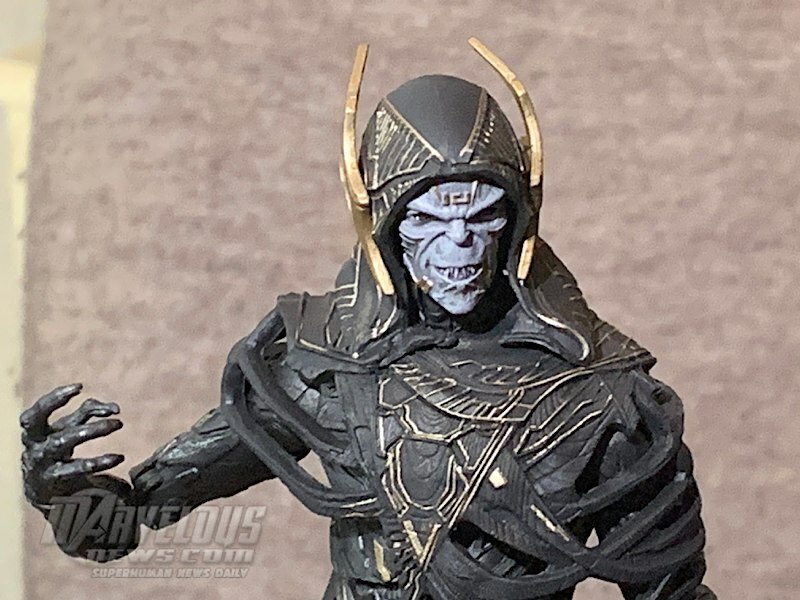 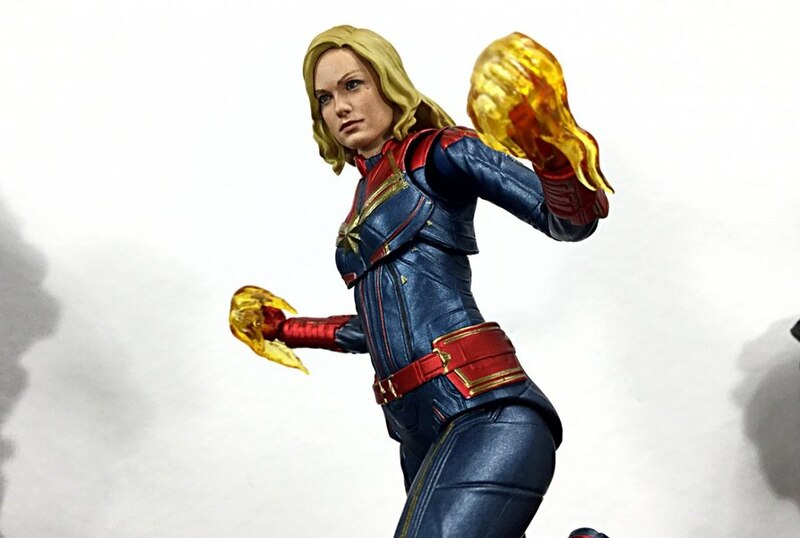 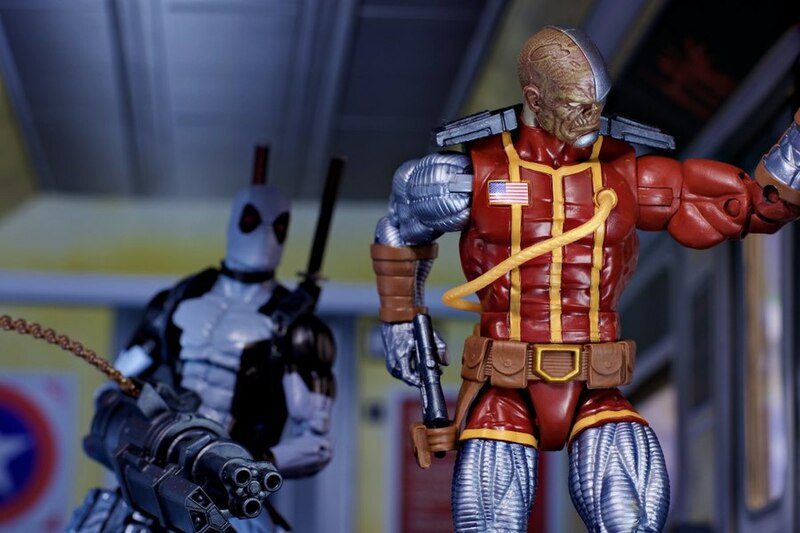 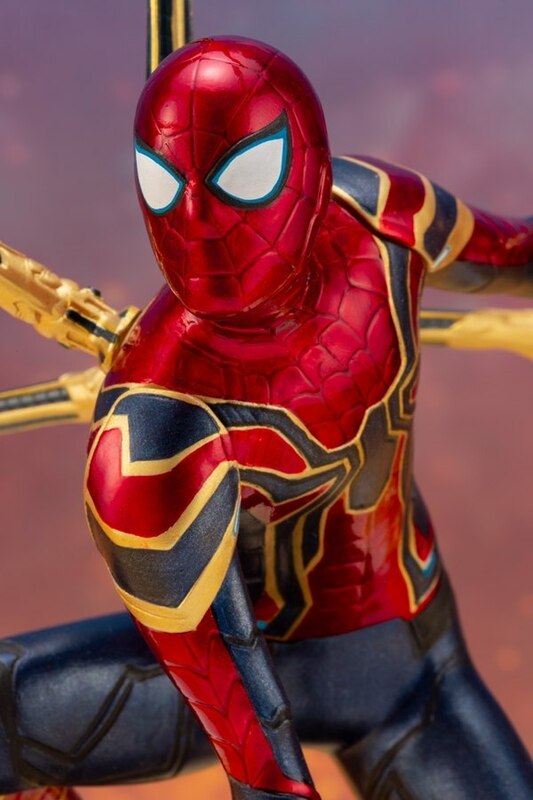 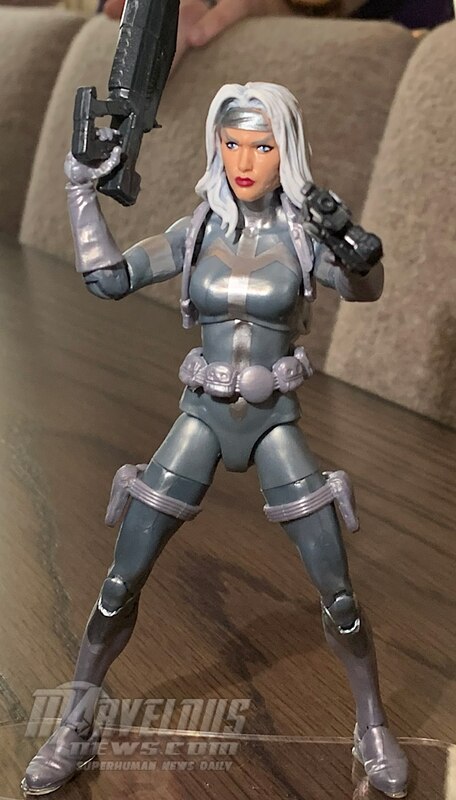 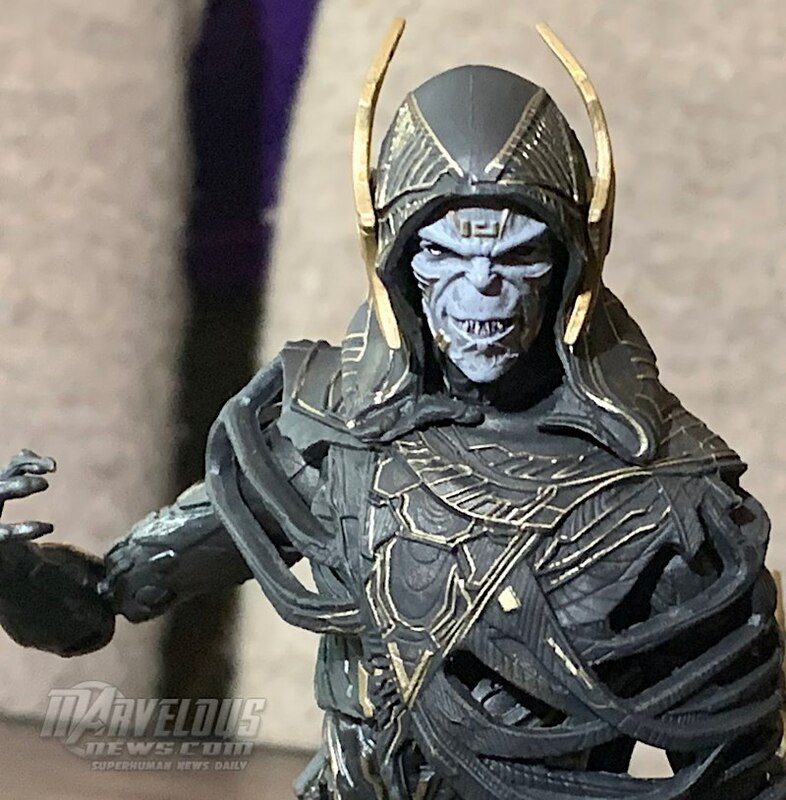 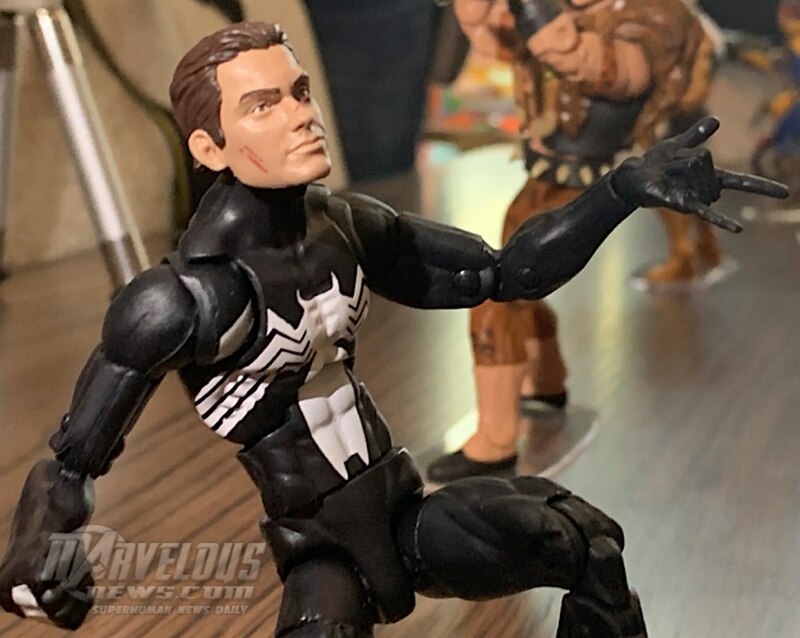 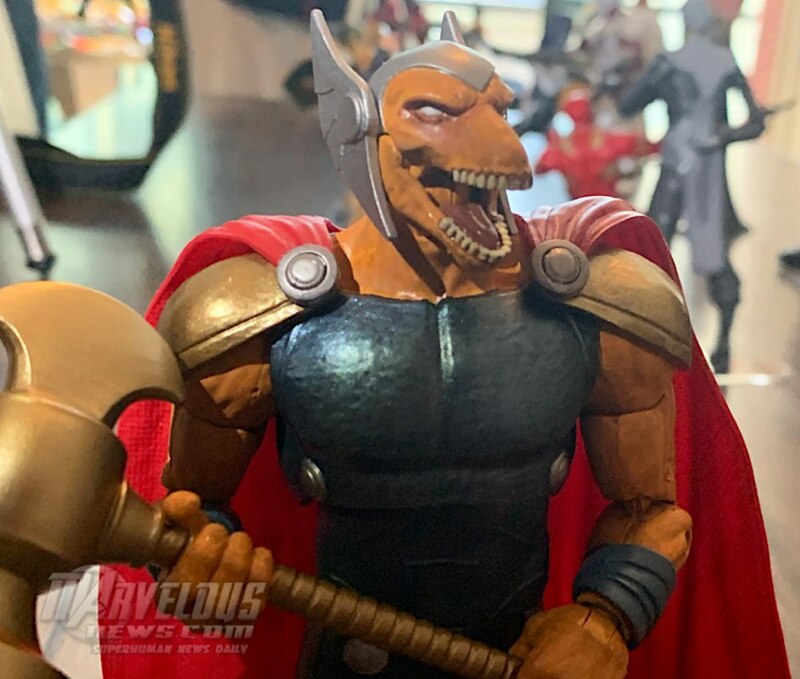 We have the word from Marvel's on the new Marvel Legends reps on what's coming our way. 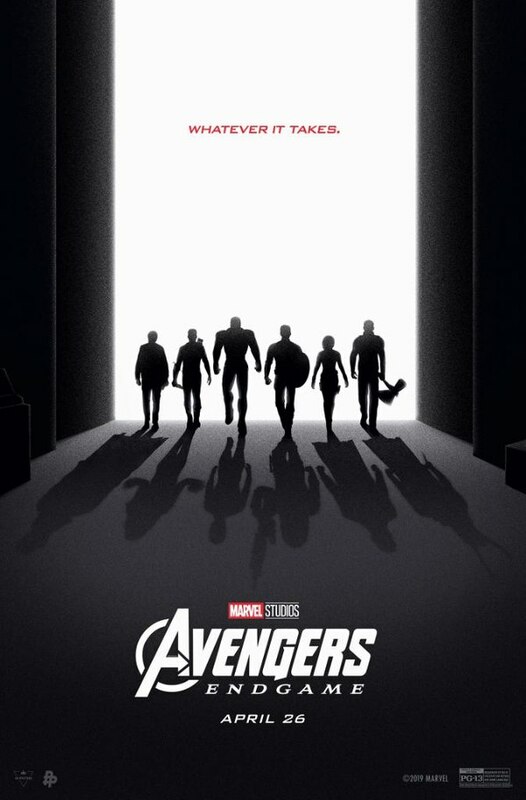 We are updating the report now so check back for details as we add them. Caliban Built-A-Figure - More pics coming today at 4 PM ET. 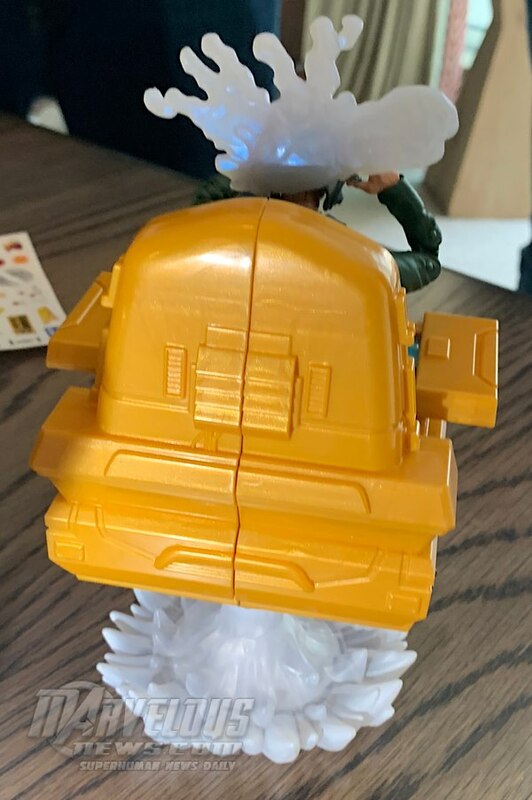 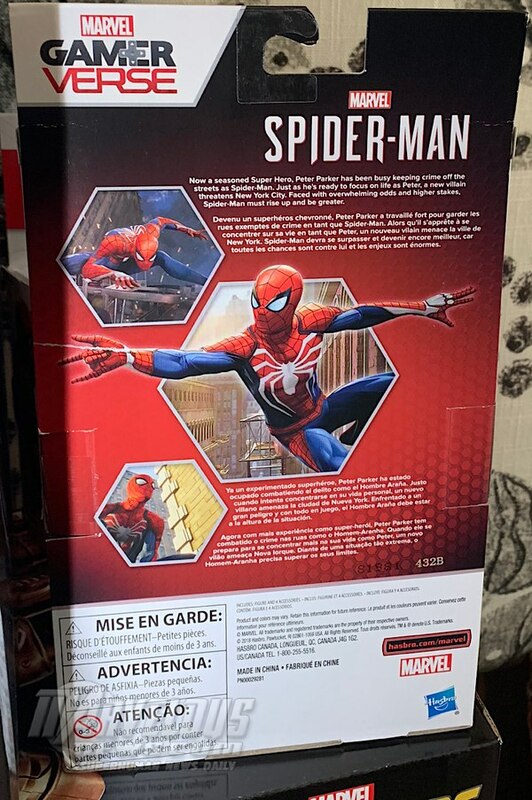 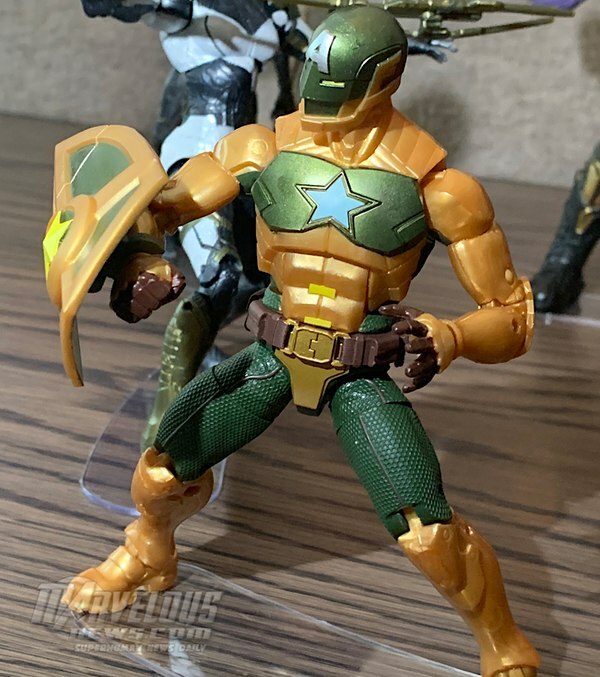 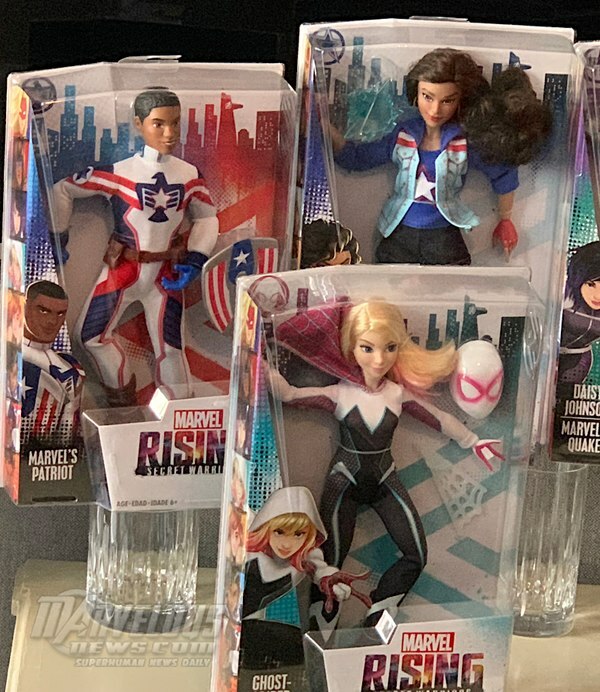 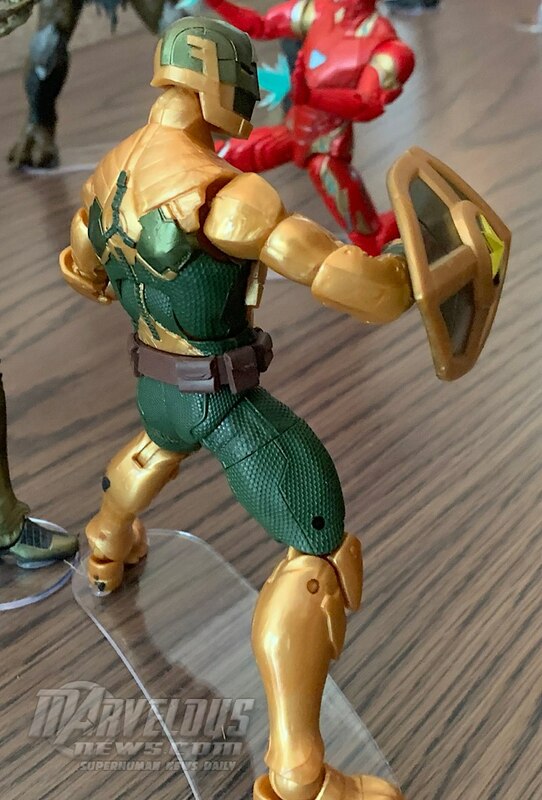 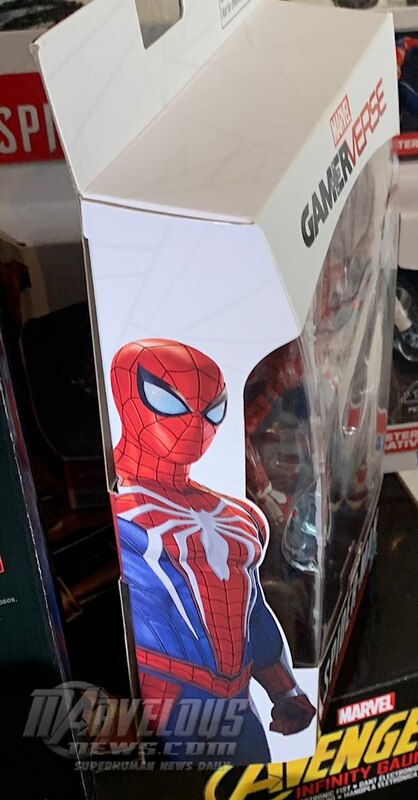 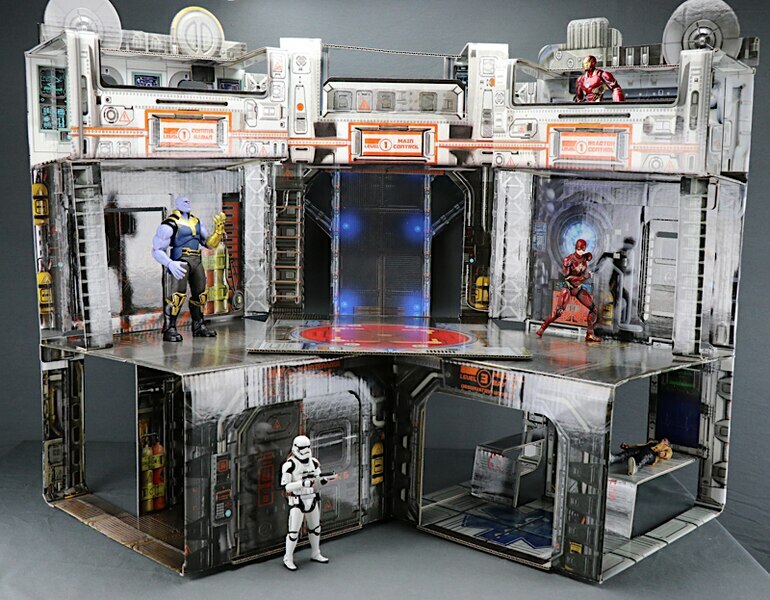 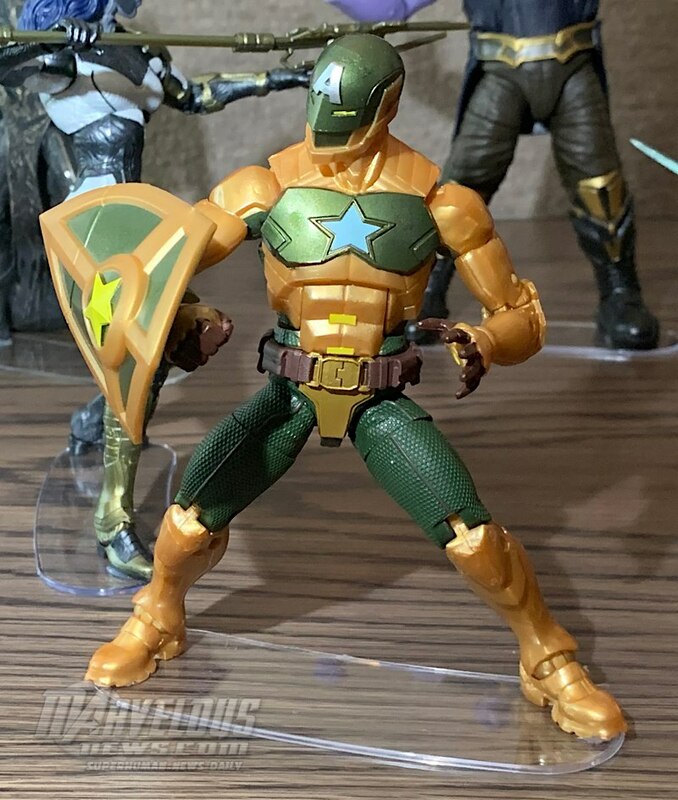 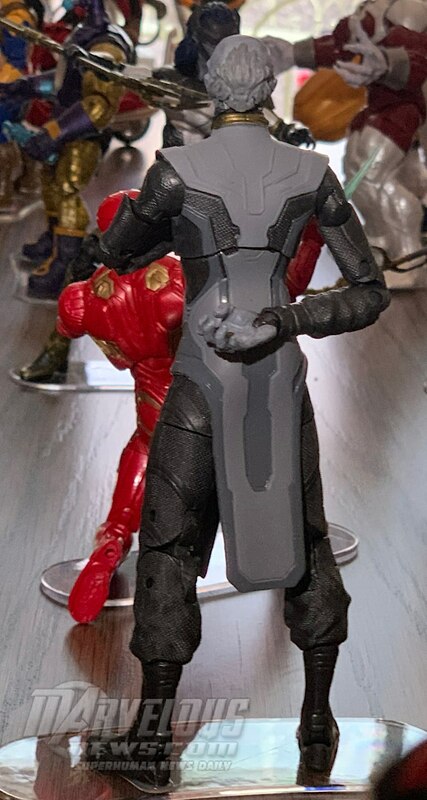 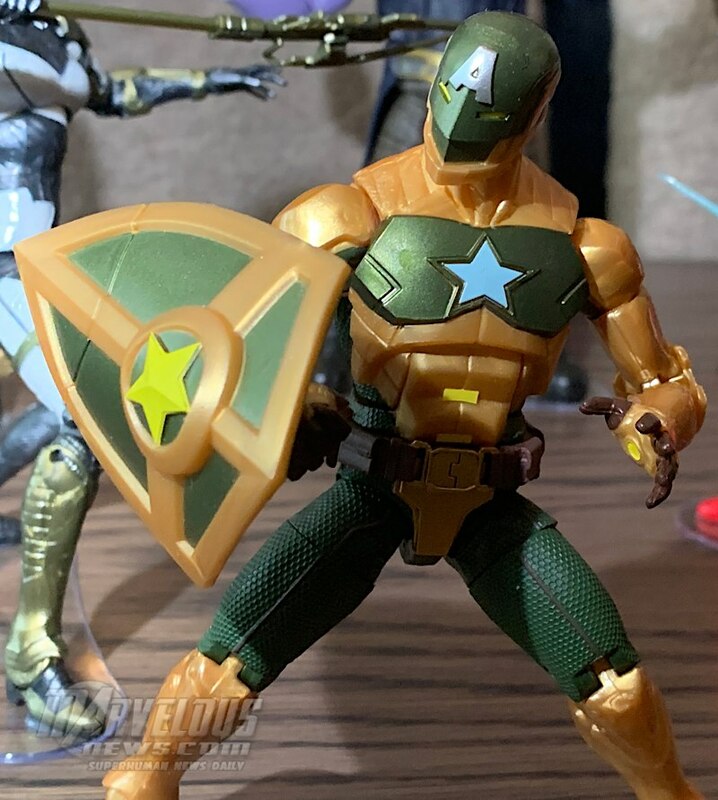 That shield is the Supreme Captain 2pack? 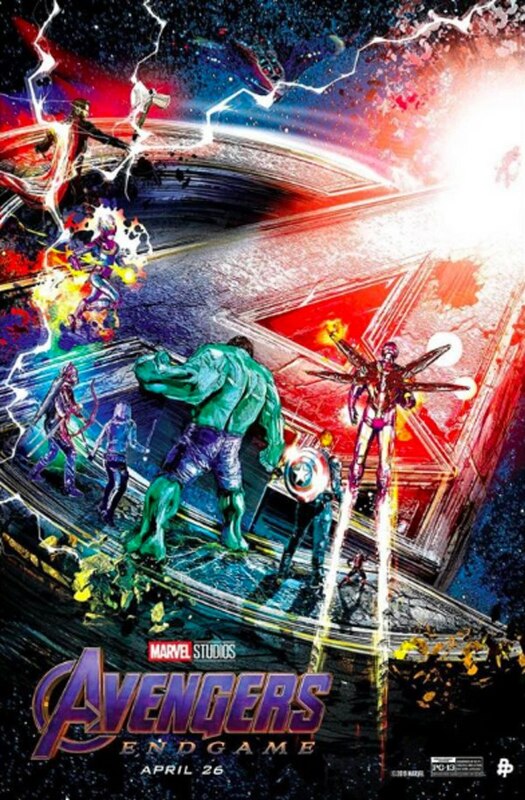 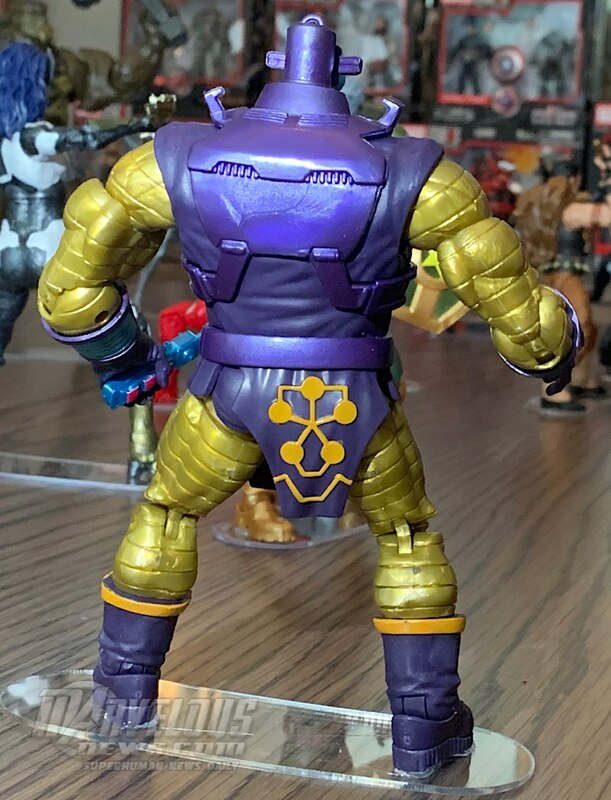 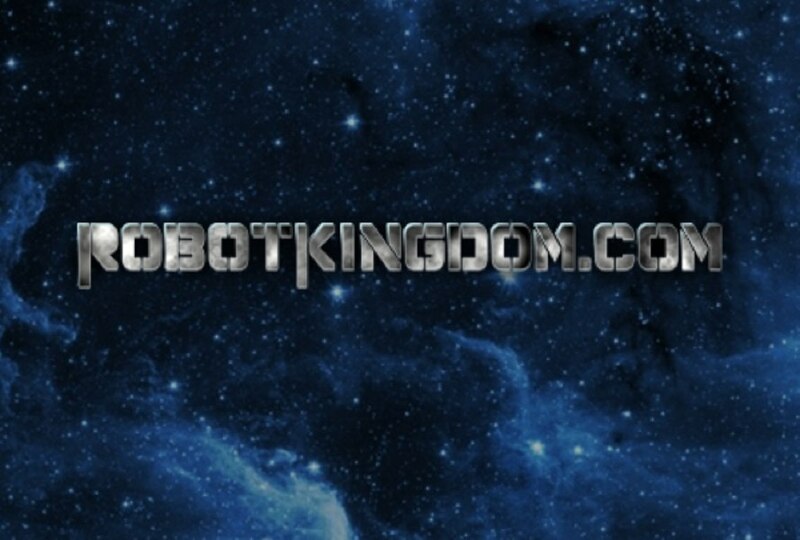 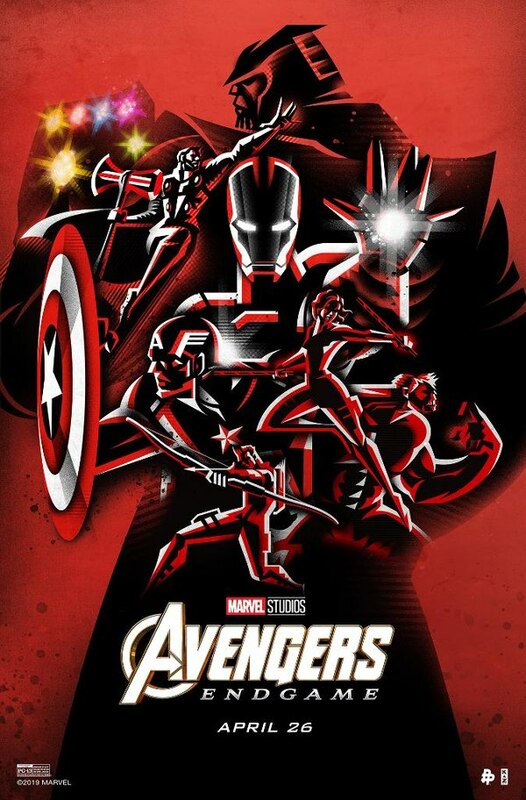 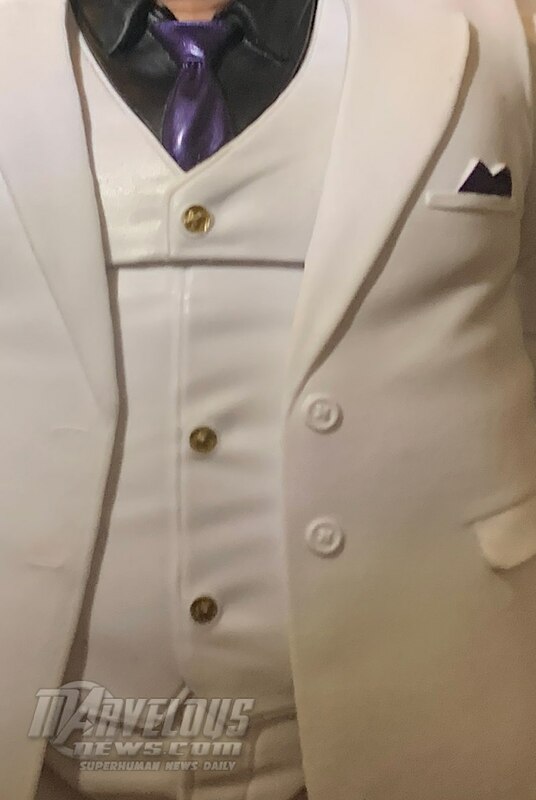 I am assuming the square looking thing is Arnim Zola? From the same 2pack? 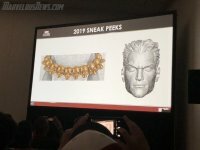 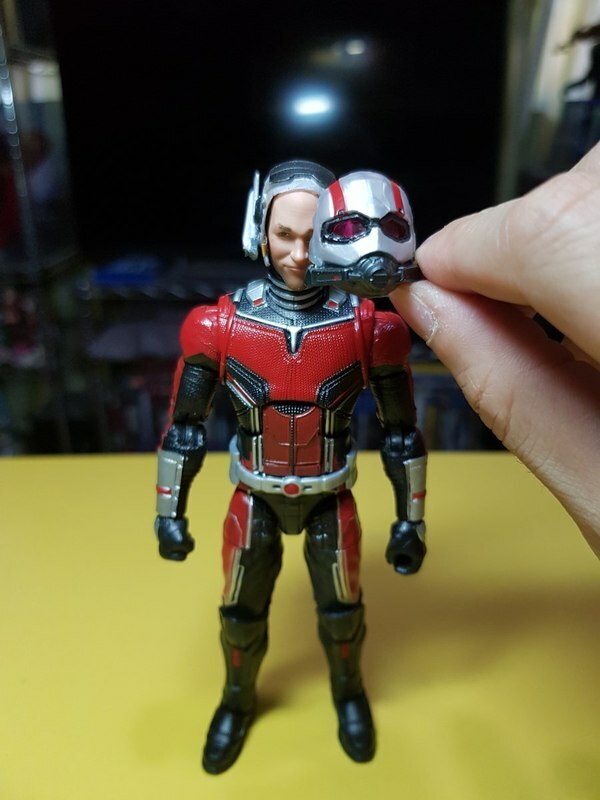 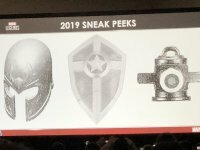 the only things they haven't revealed is the Magneto head and the quicksilver. 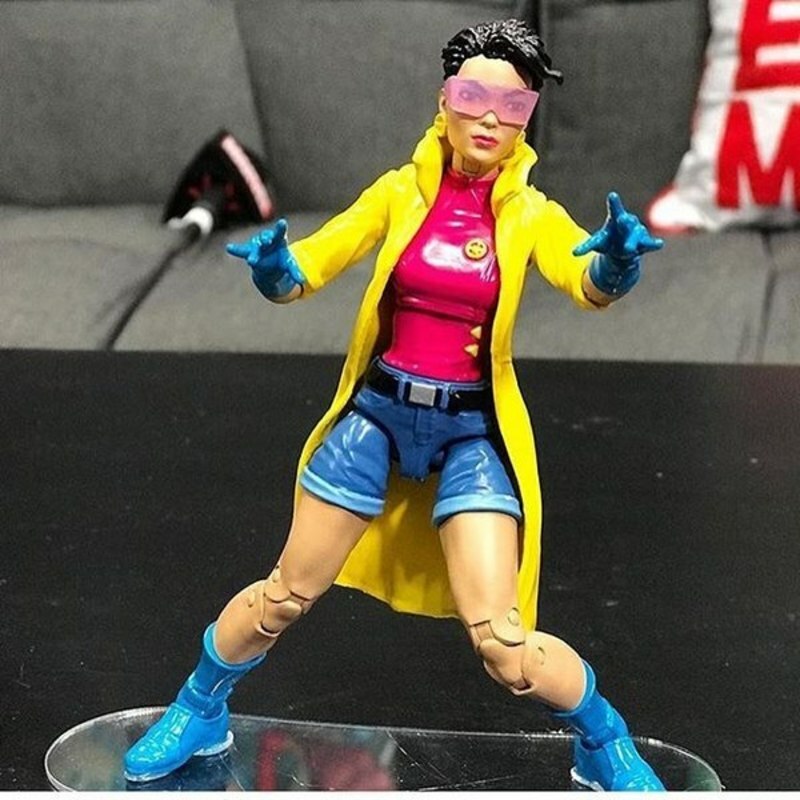 Just when I thought I could finish my Jubilee custom after 2 years :( Glad to see Hasbro refresh and regulate their highly sought after figures to an affordable price. 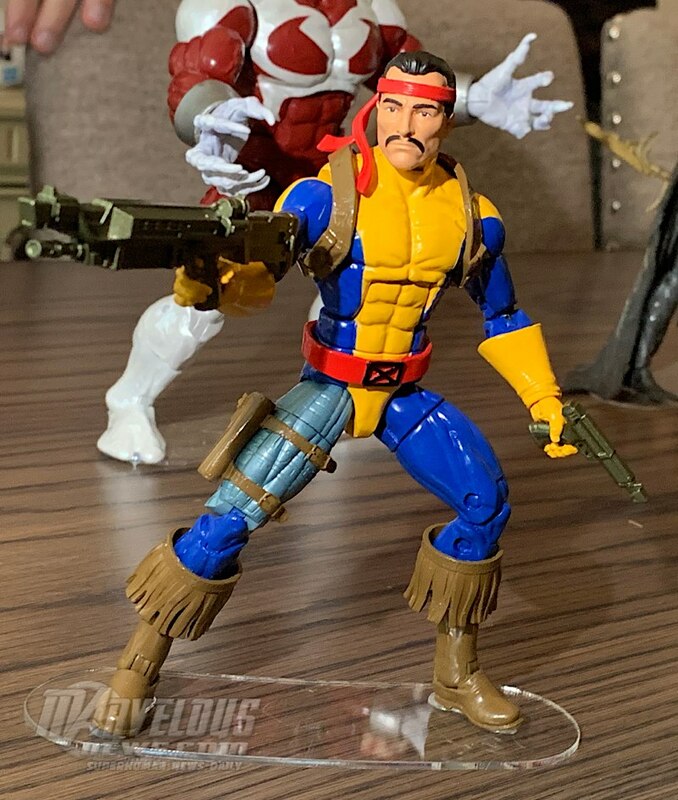 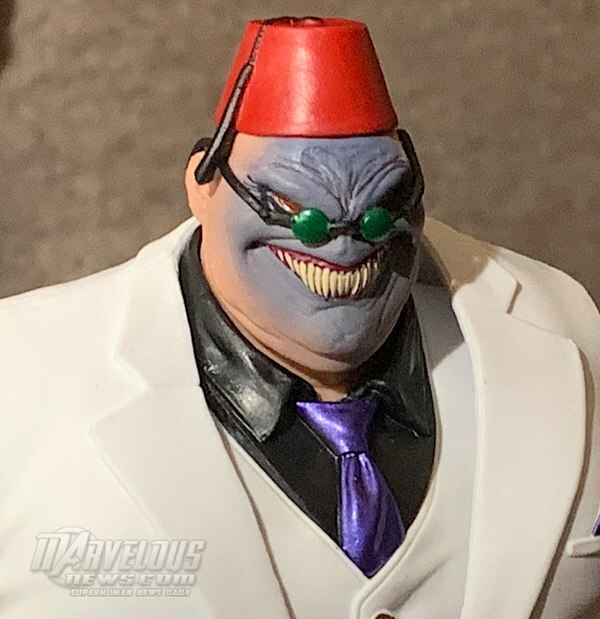 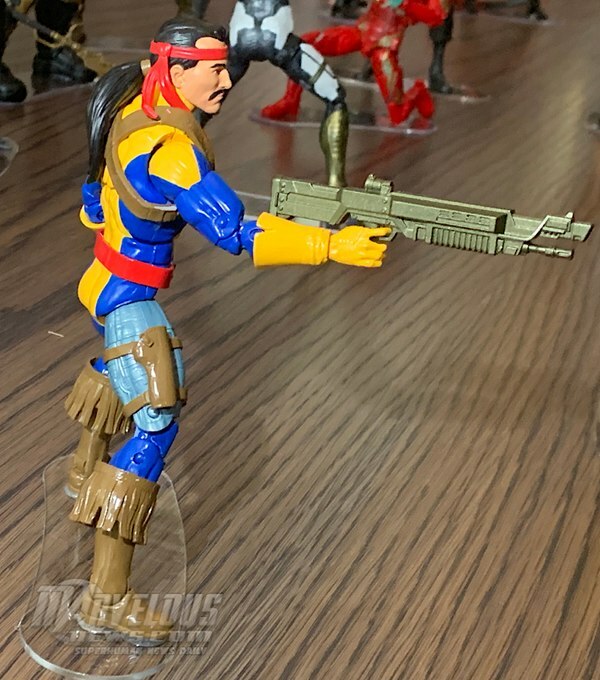 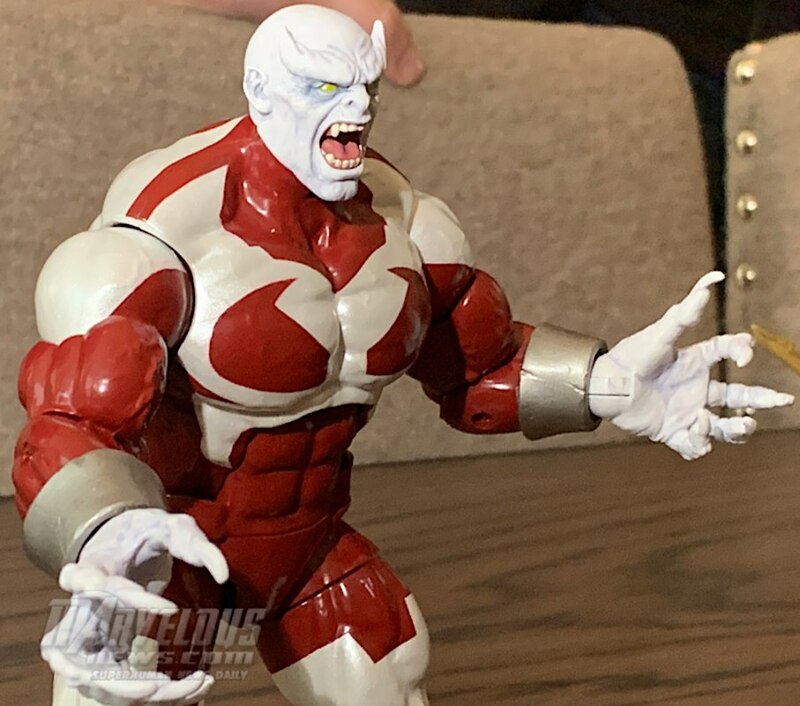 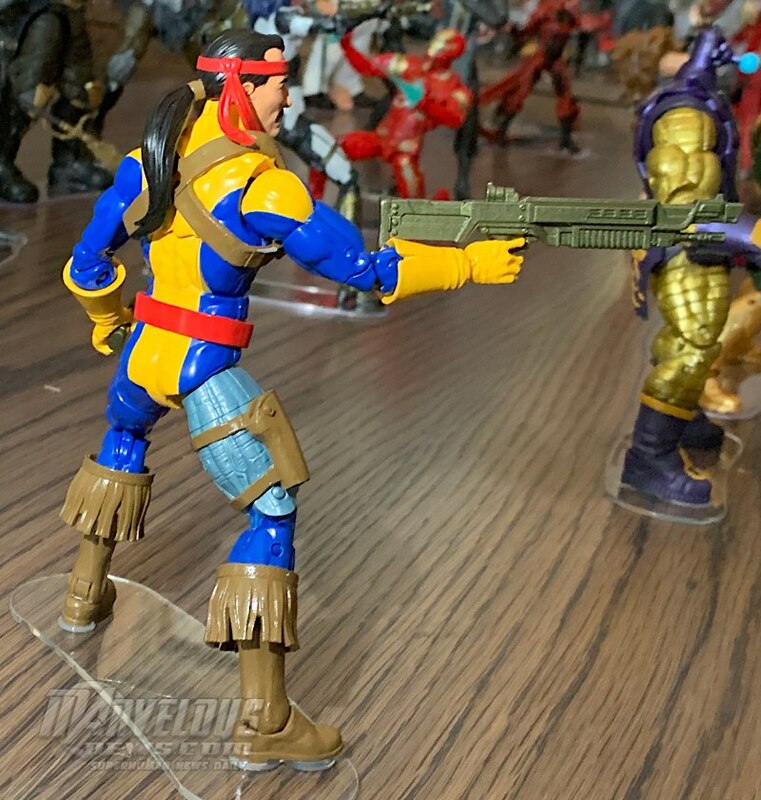 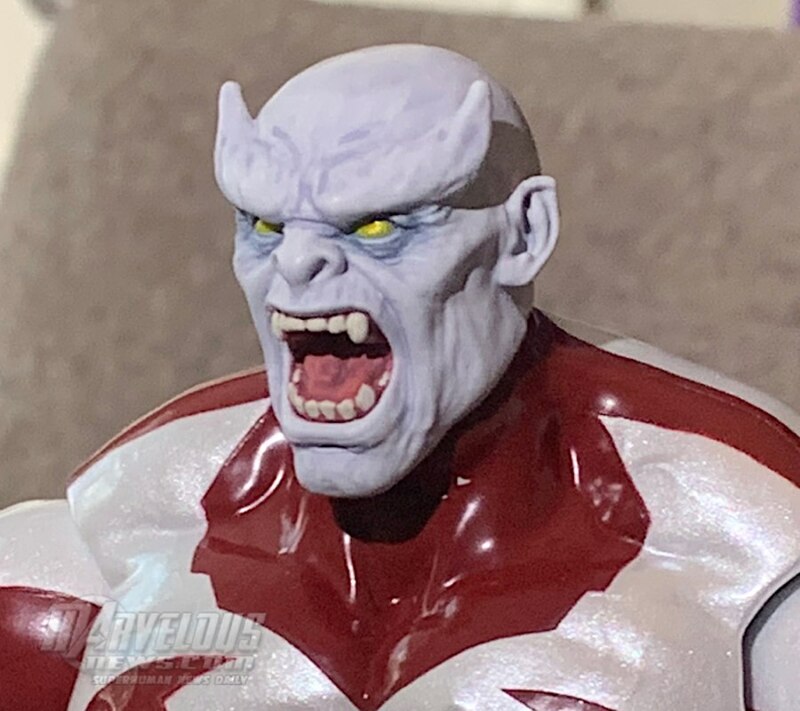 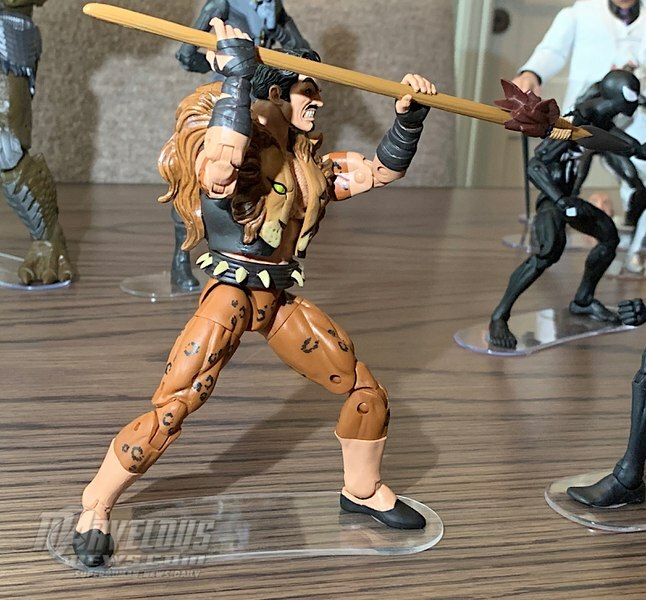 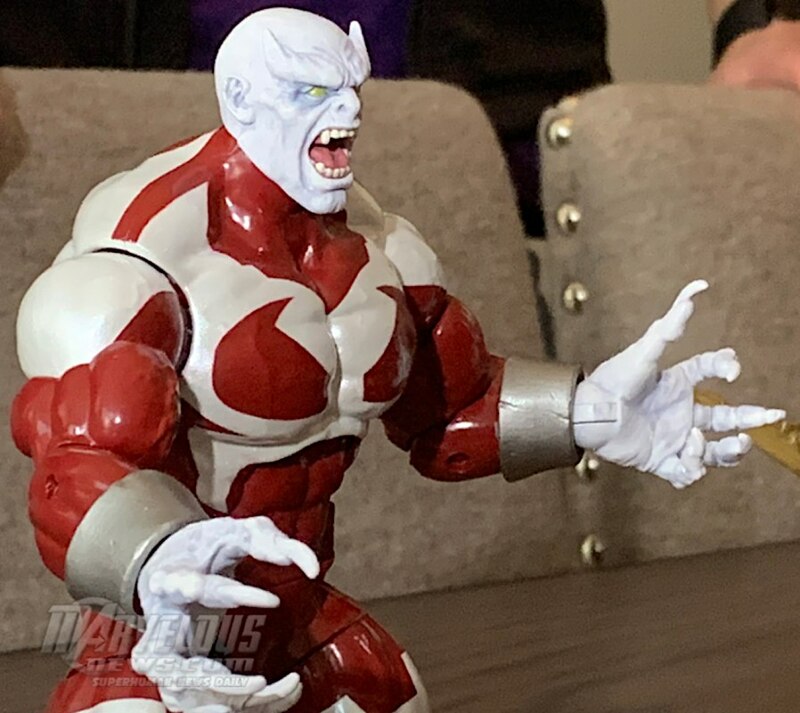 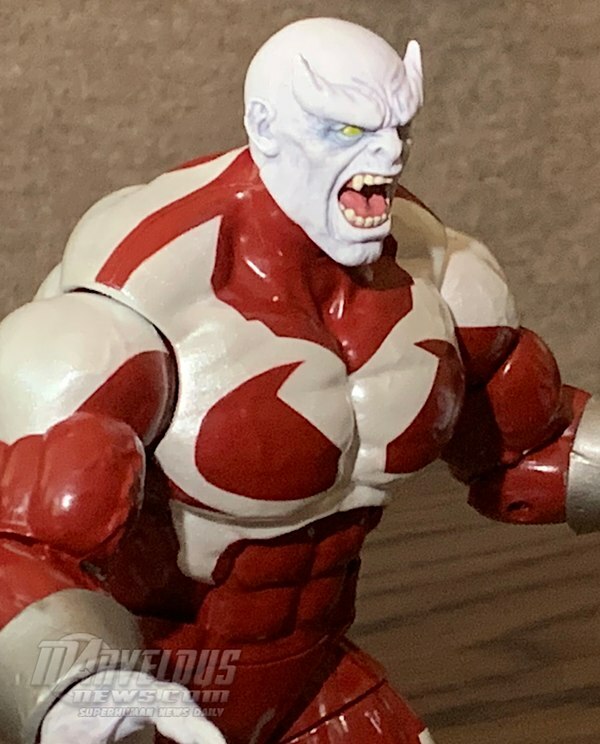 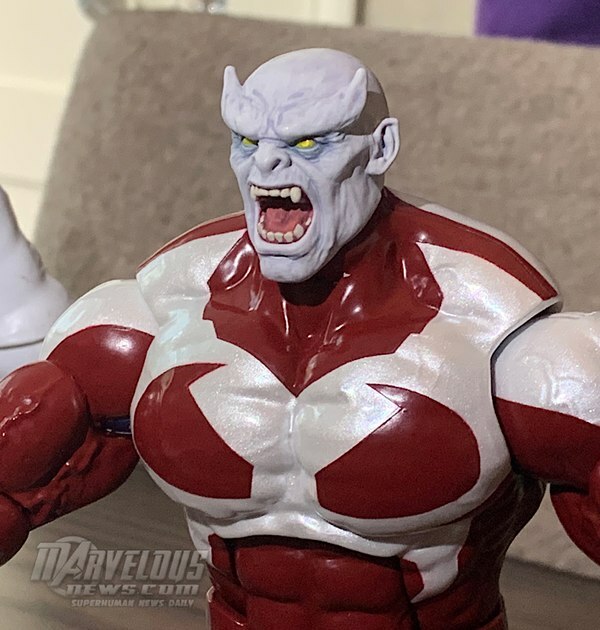 Definitely picking up another X-Men wave with that Caliban BAF! 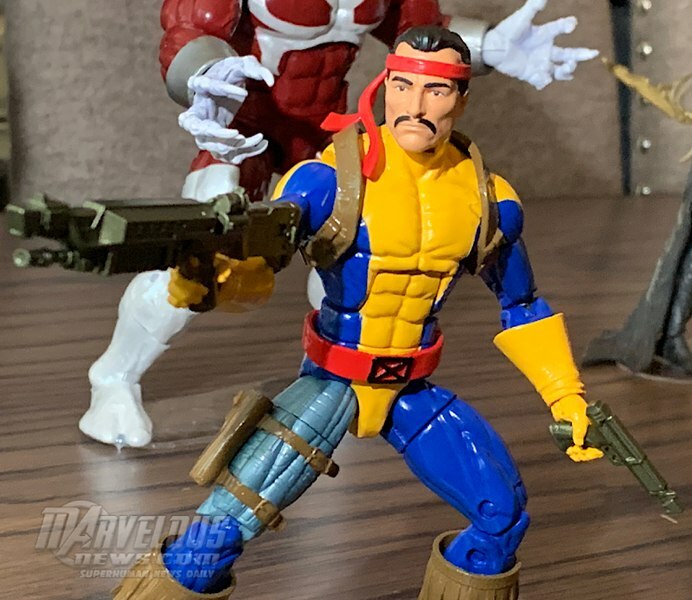 Only Shang Chi I would buy is his classic 70s look. 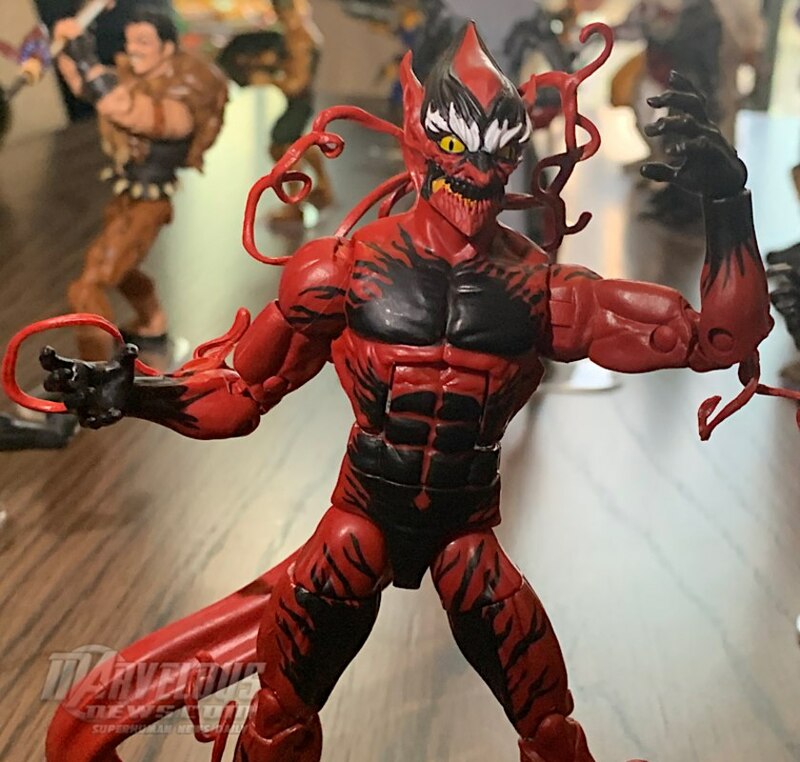 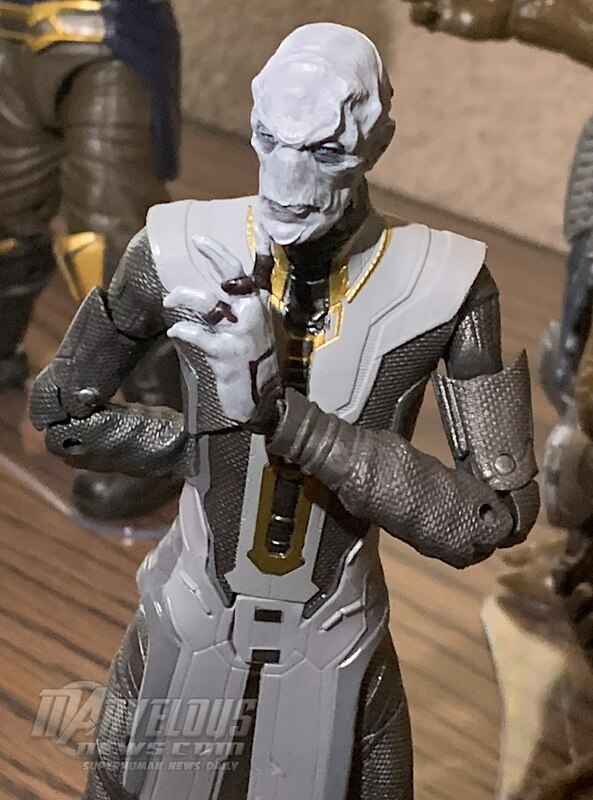 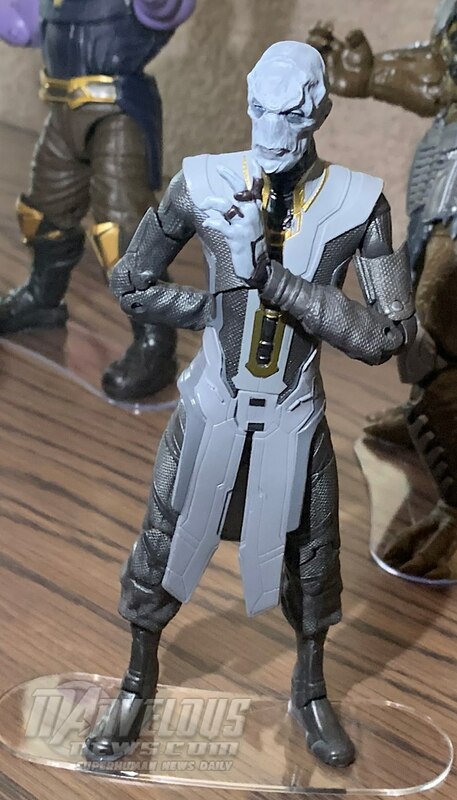 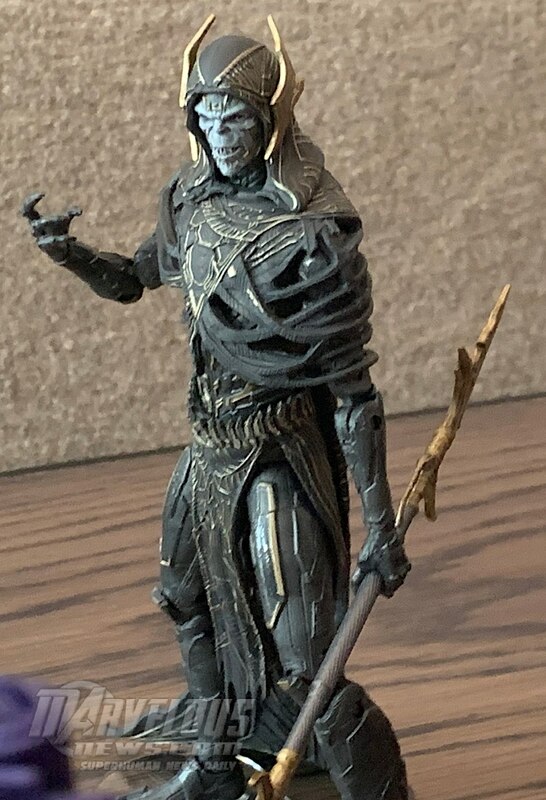 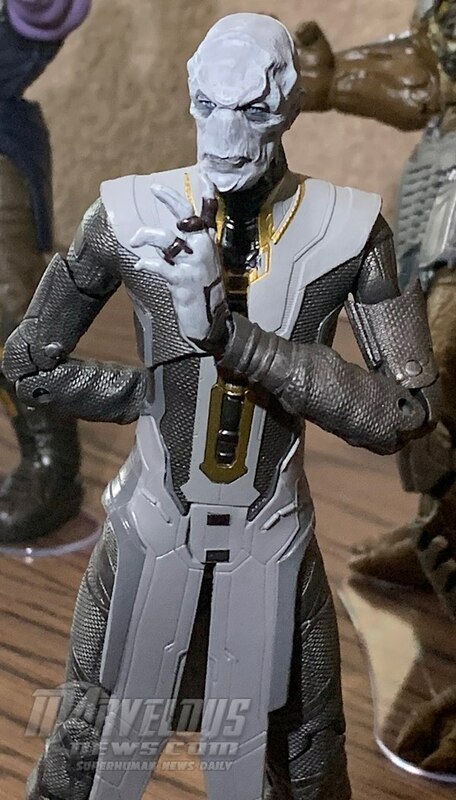 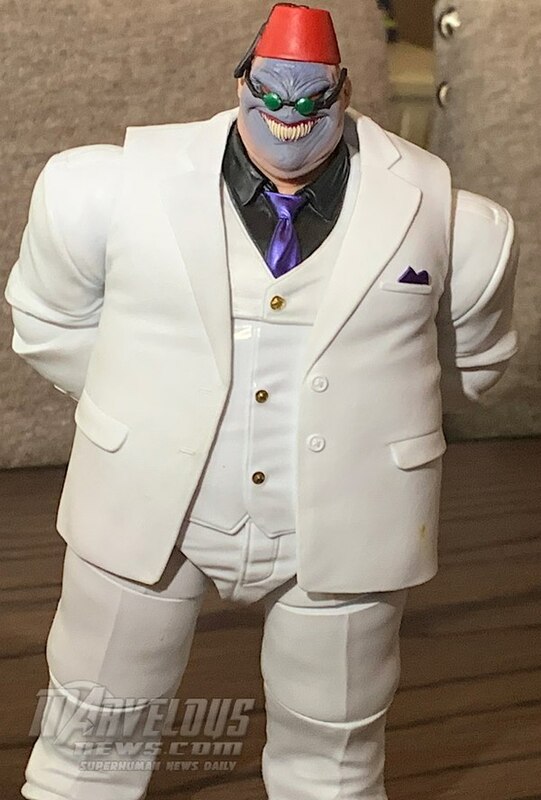 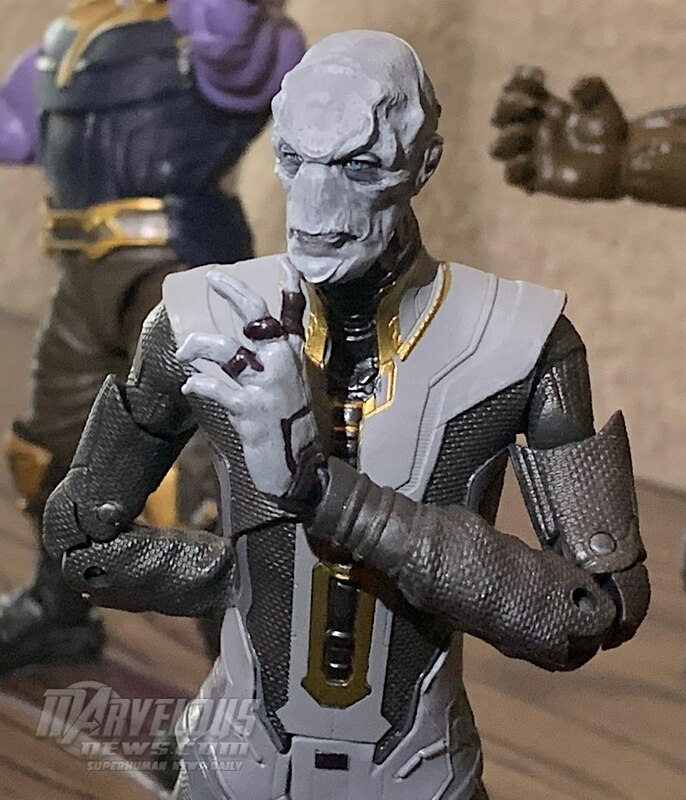 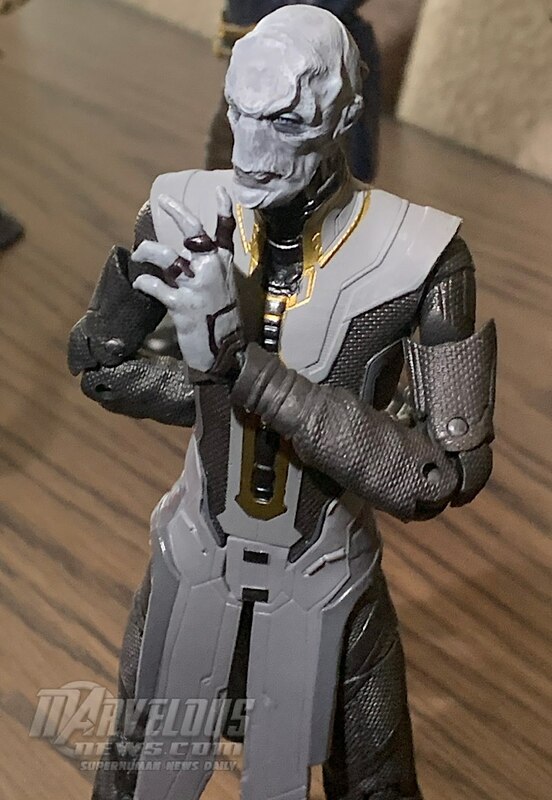 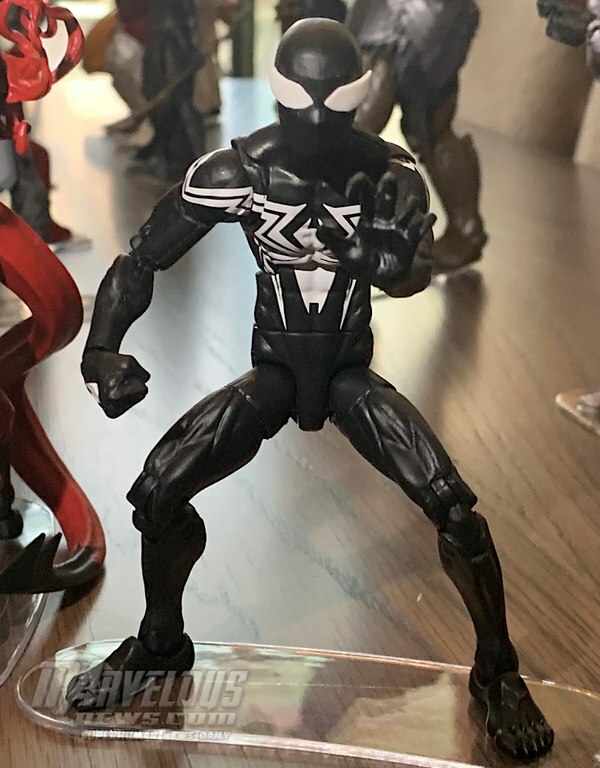 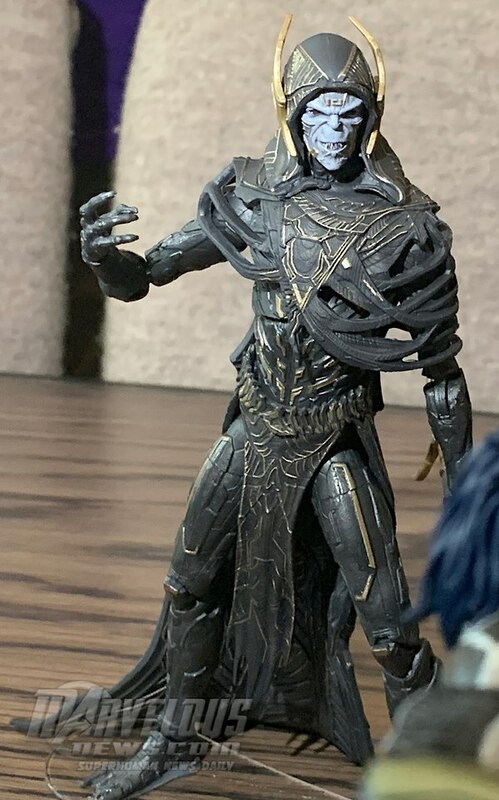 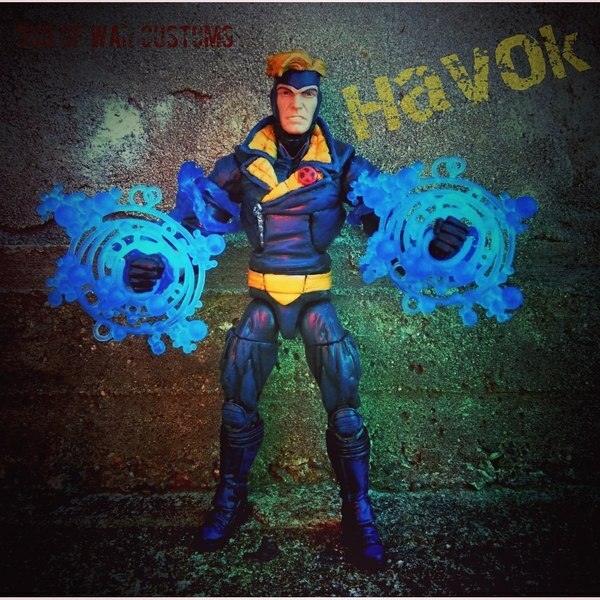 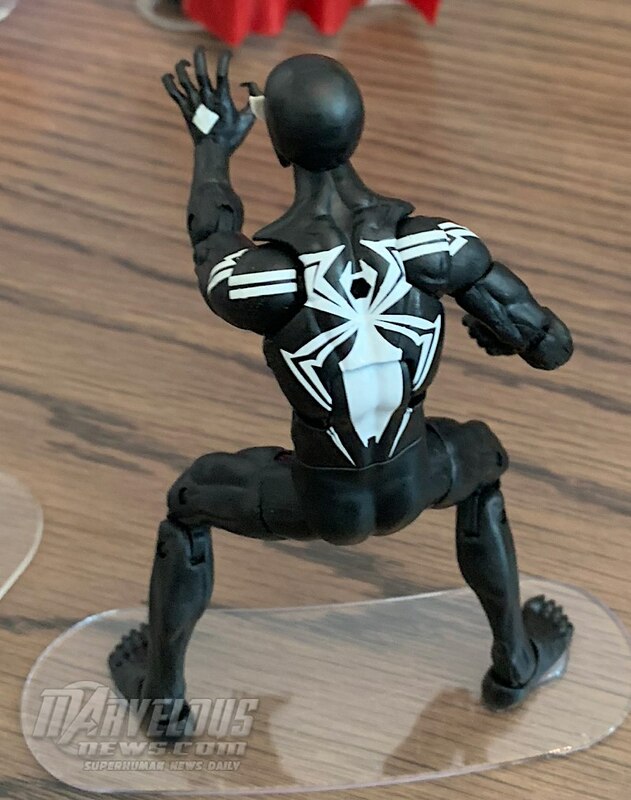 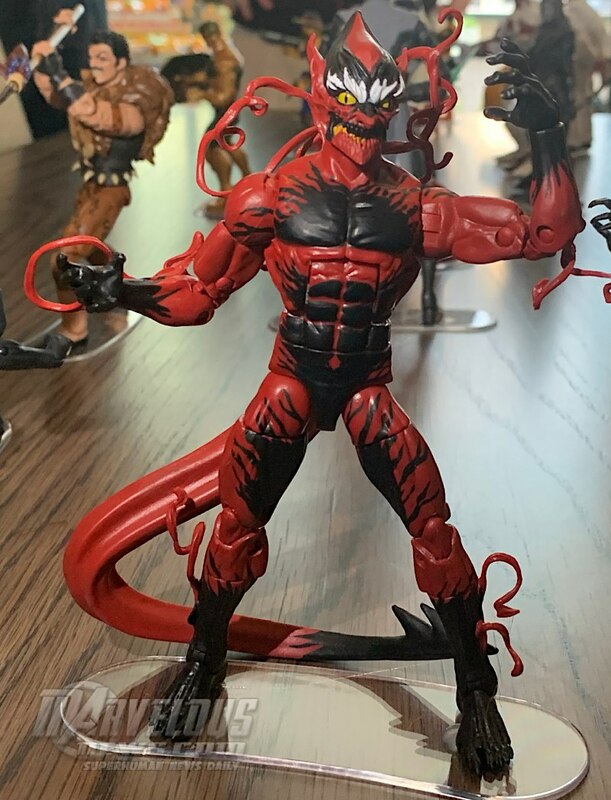 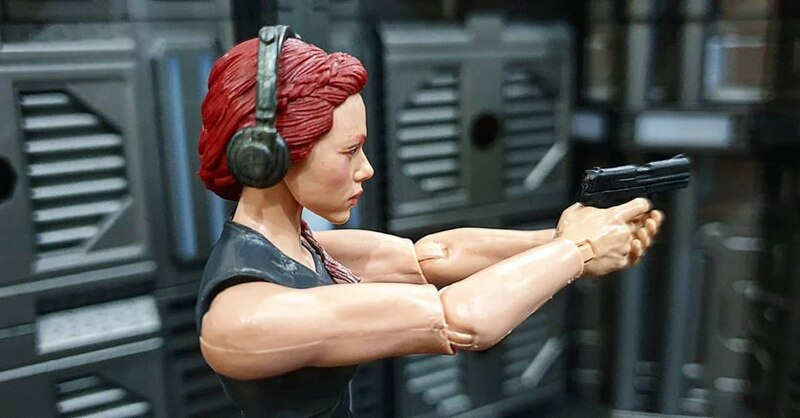 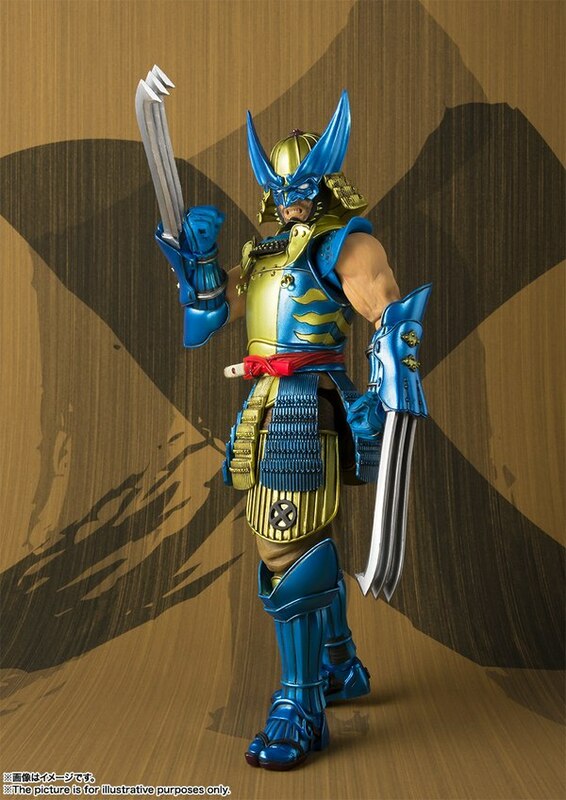 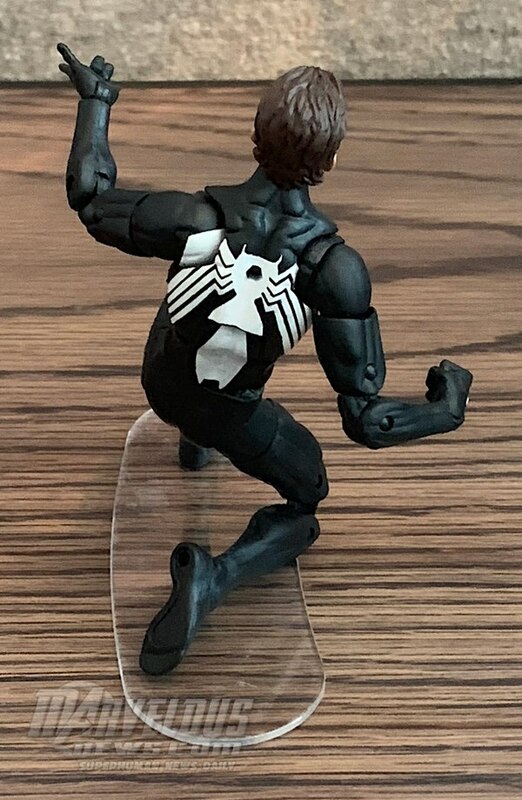 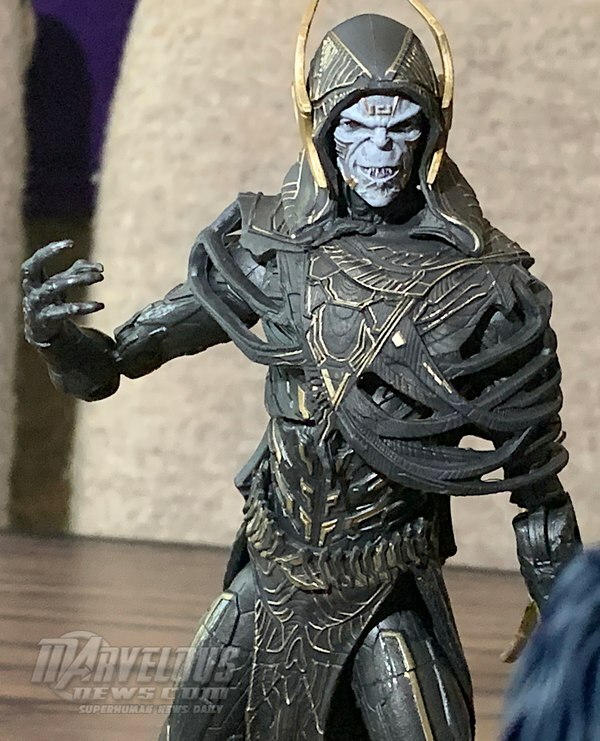 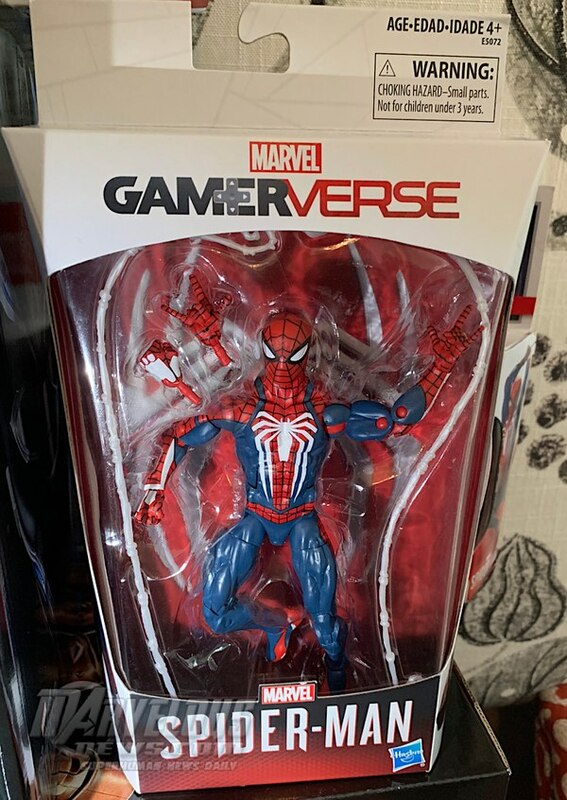 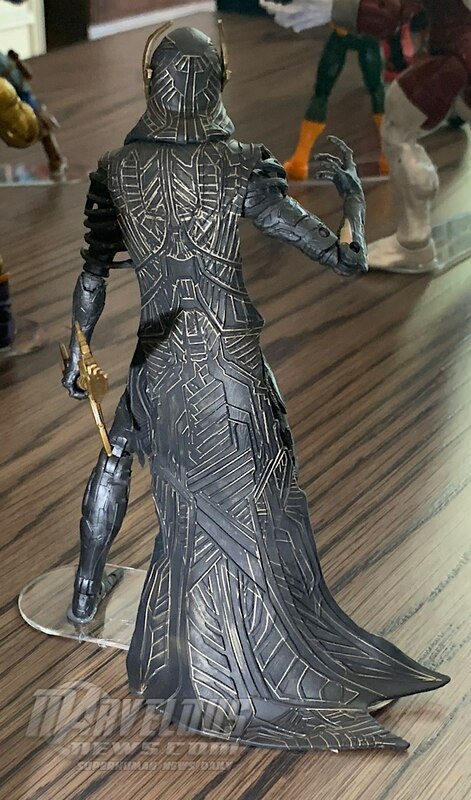 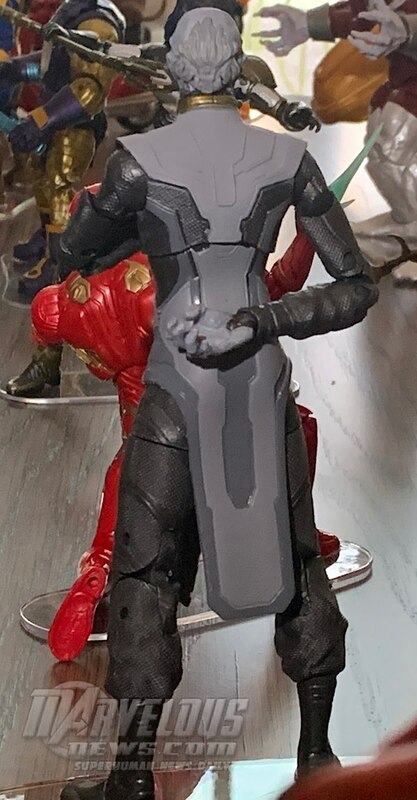 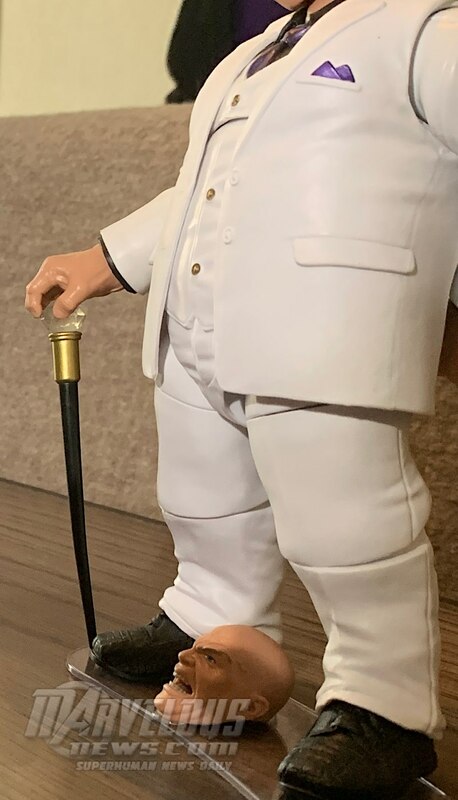 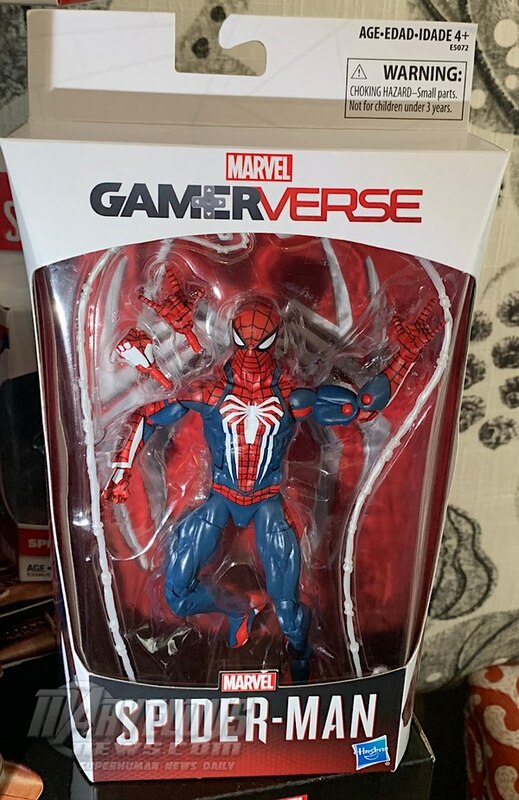 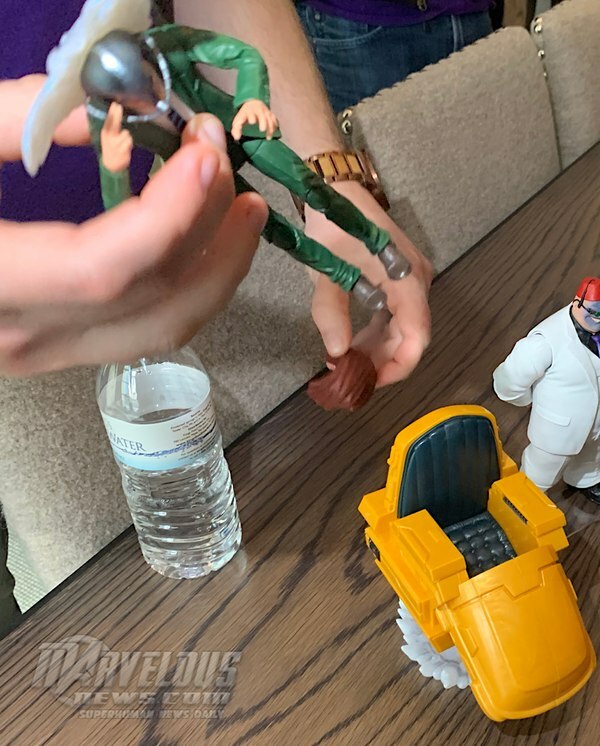 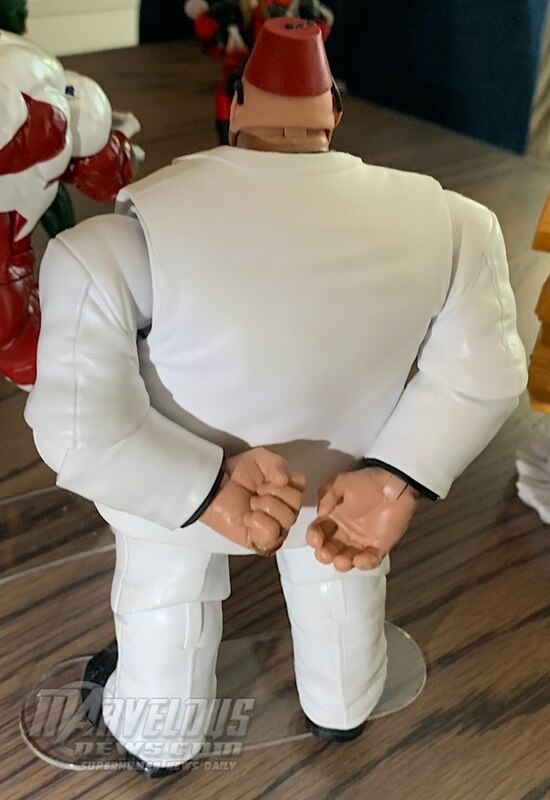 That figure should come with at least 8 sets of kung Fu hands & 2 alternate head sculpts. 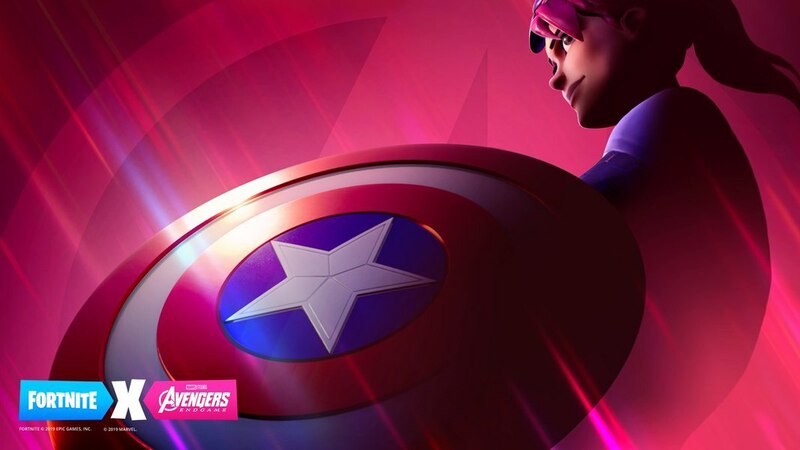 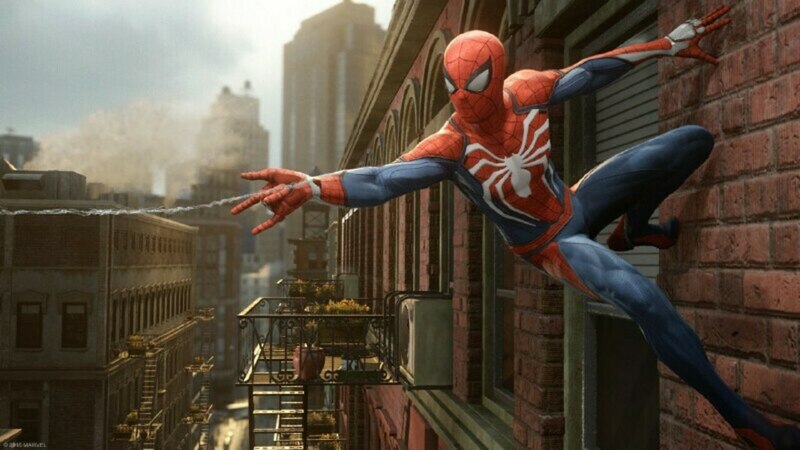 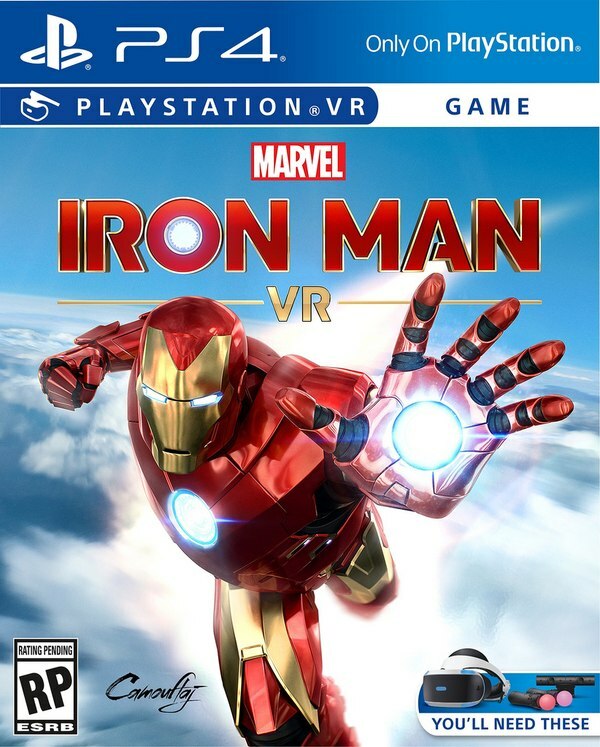 Just like Spiderman, in my book he will always be a solo player, not a team member of the Avengers. 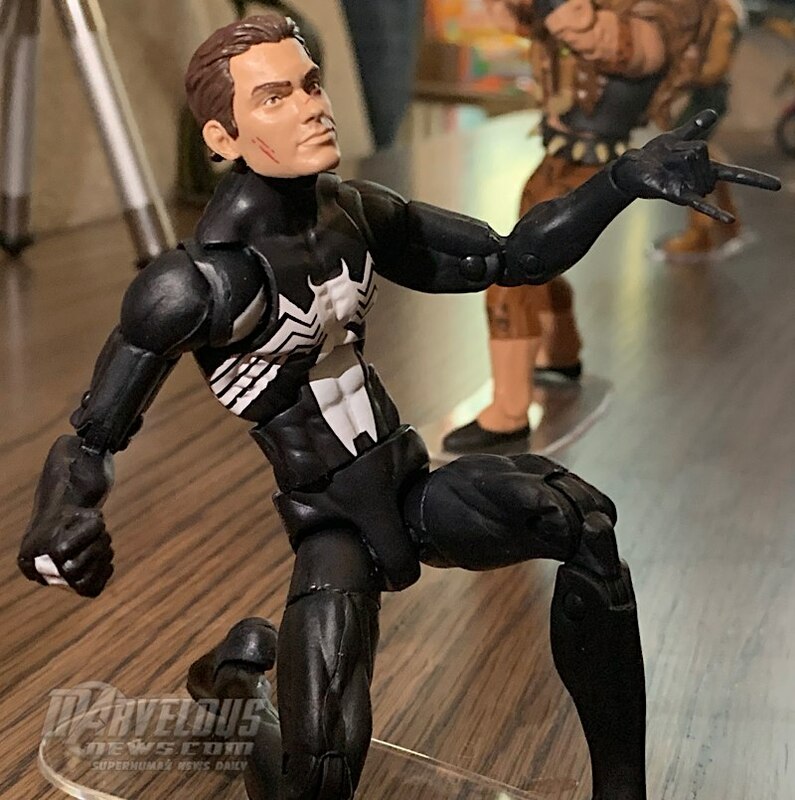 That buttwipe Bendis just wanted to sell more comics by throwing in all the big names & his favorites into the Avengers after he disassembled them. 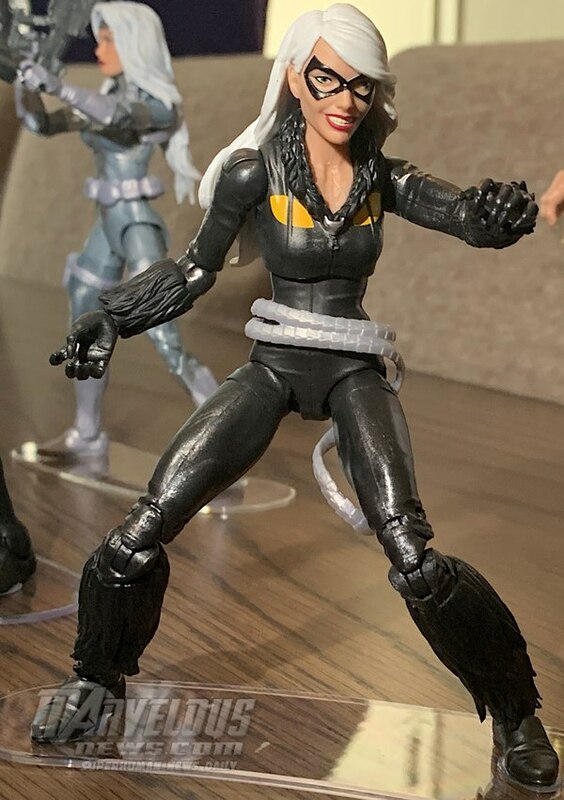 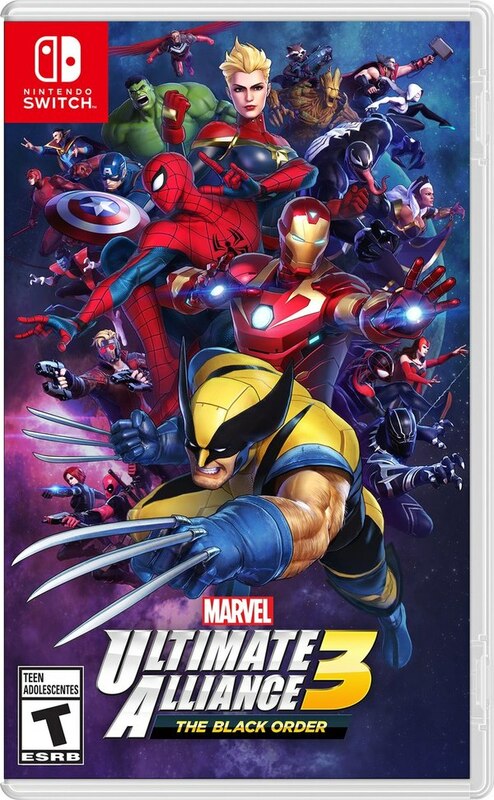 Wolvy is always just an X-man for me, Ironfist & Powerman just that & Doc Strange either solo or as a member of the Defenders which with the addition of Nighthawk, just leaves a classic Hulk left to do for a classic Defenders team. 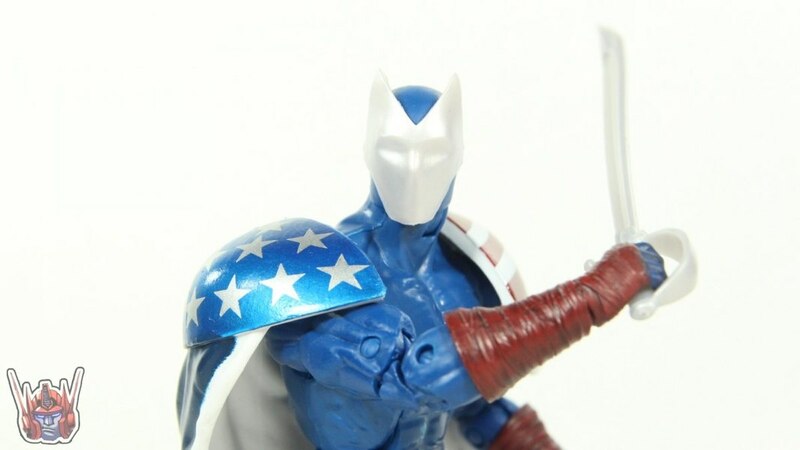 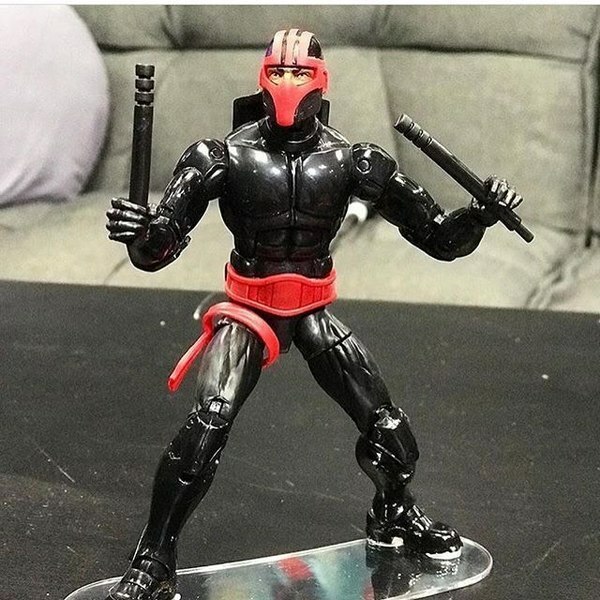 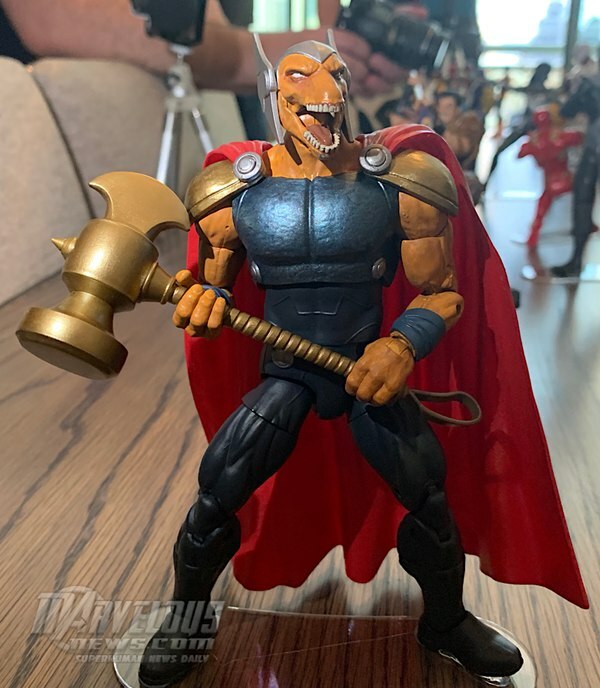 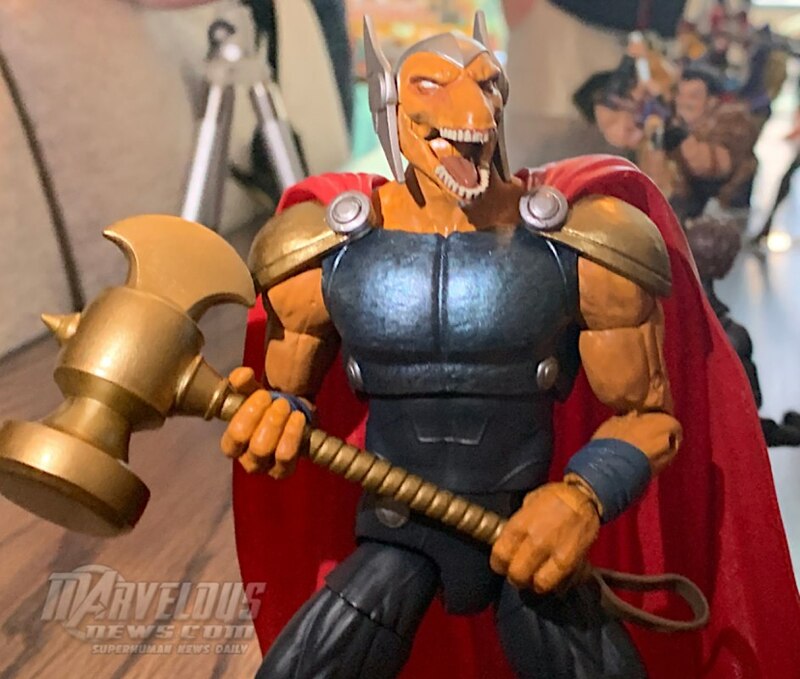 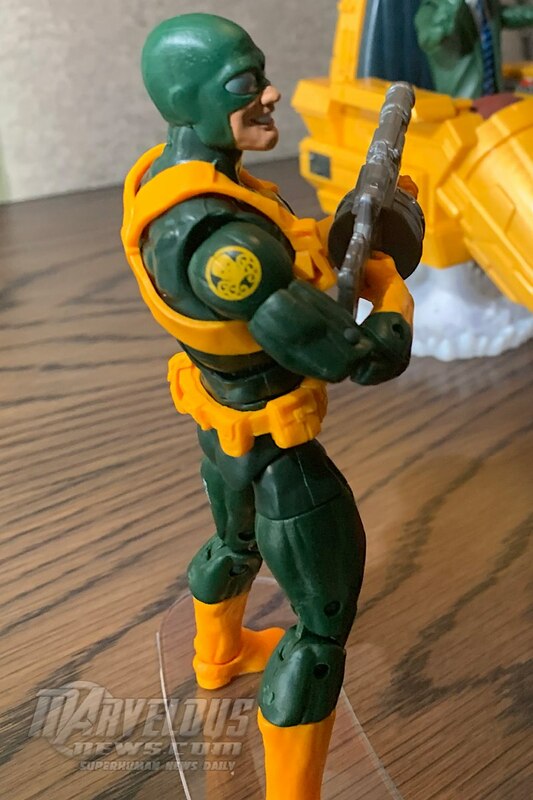 With as many obscure characters that Hasbro has given us such as classic comic versions of the Jackal , Prowler & now Night thrasher, I really hope they plan on making more classic Avengers such as Swordsman, Yellowjacket, & 1st app Wonderman & Falcon. 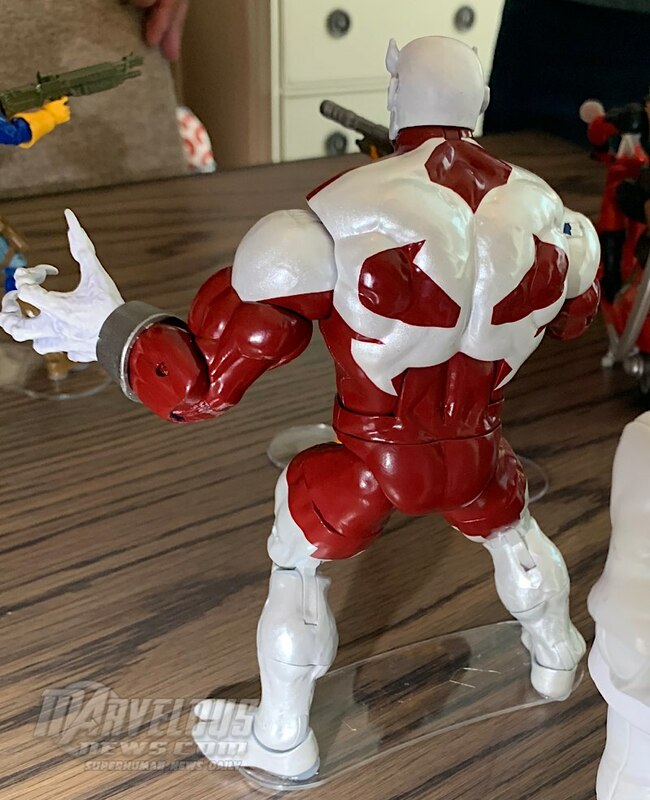 I'd also like to see them finally finish making all the core members of Alpha Flight, we have never had 6' versions of NorthStar/Aurora, Shaman & Snowbird, they are long over due as is a newer, better articulated Puck. 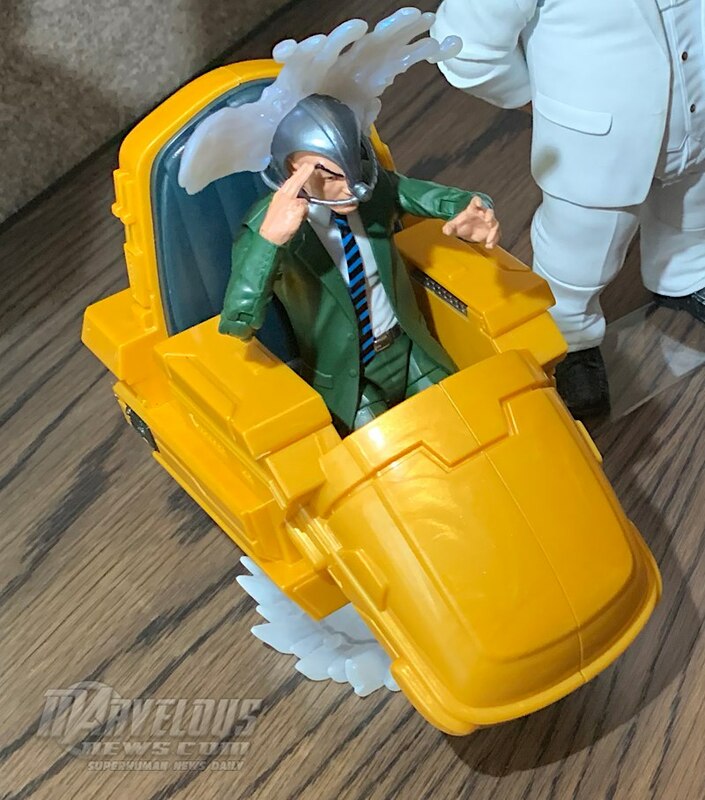 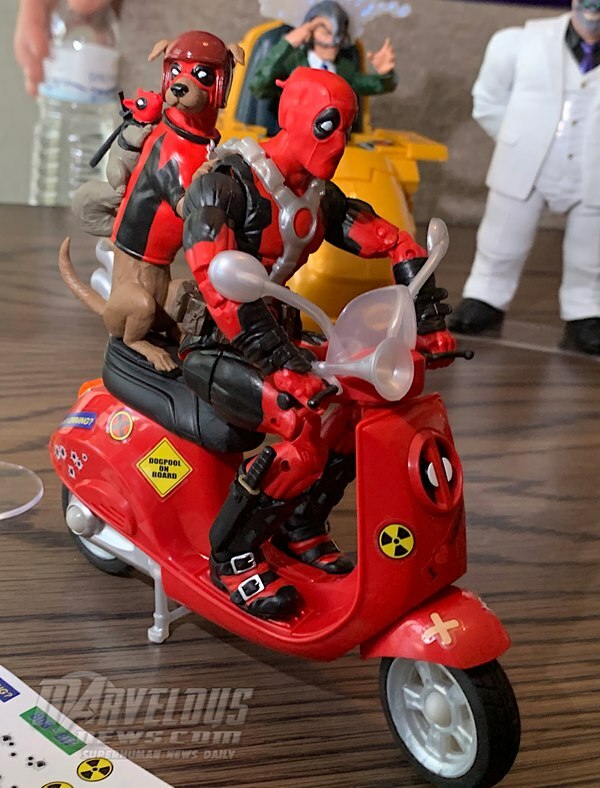 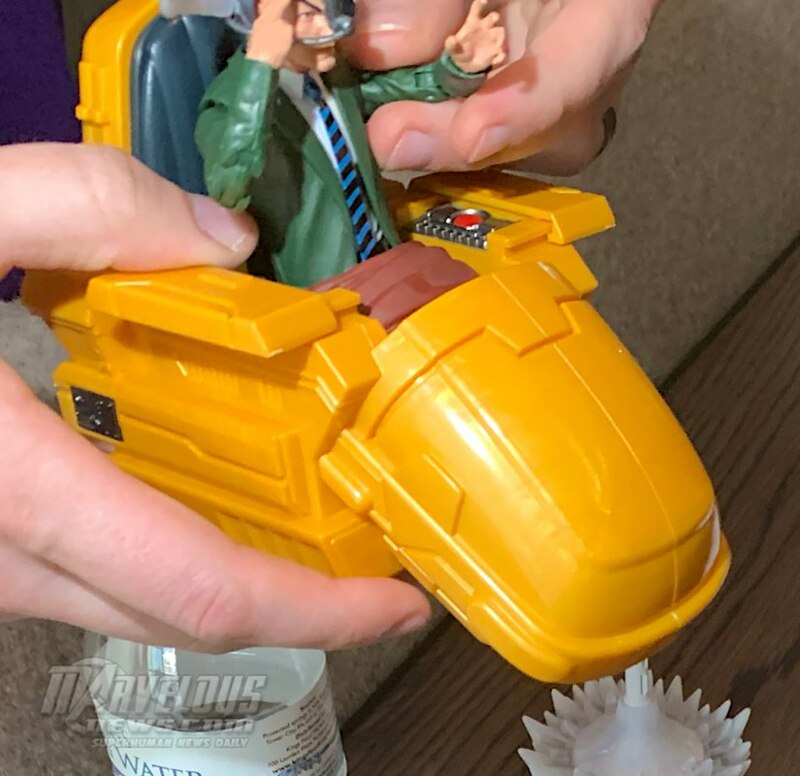 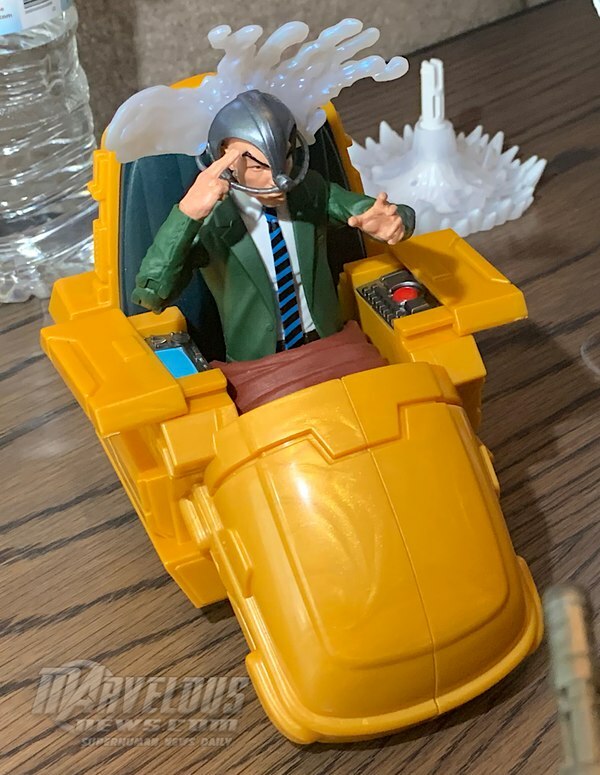 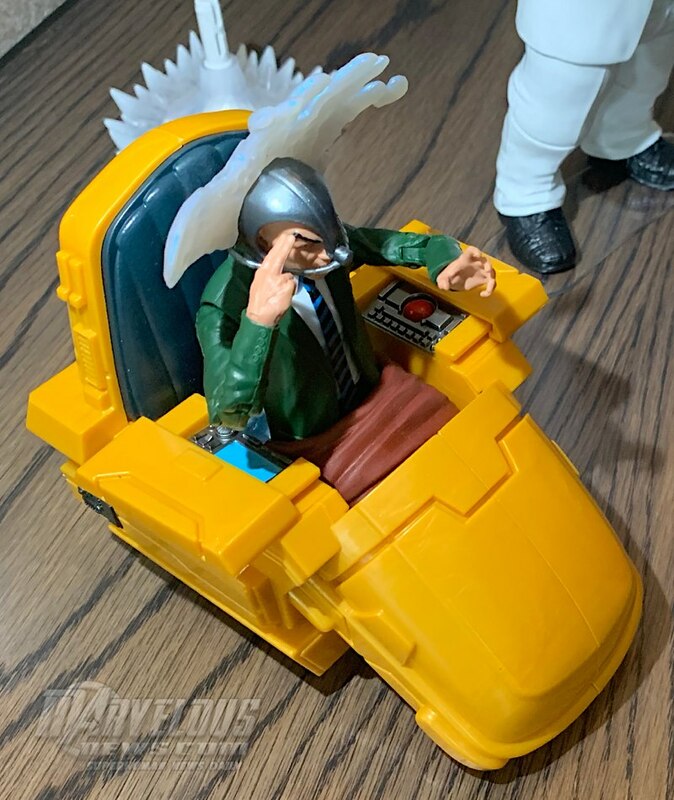 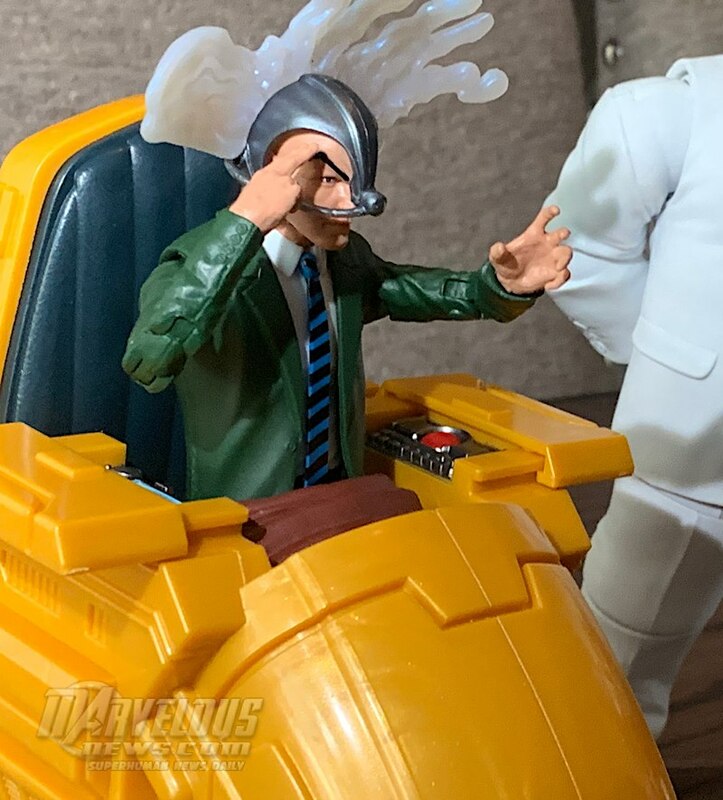 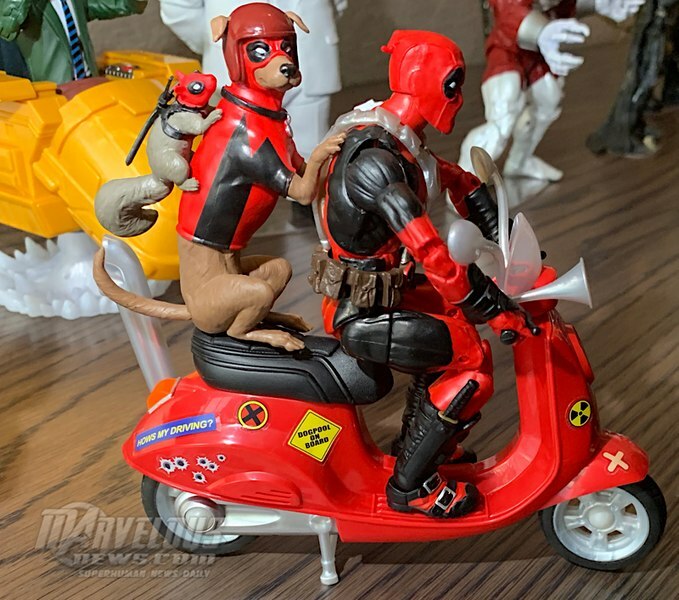 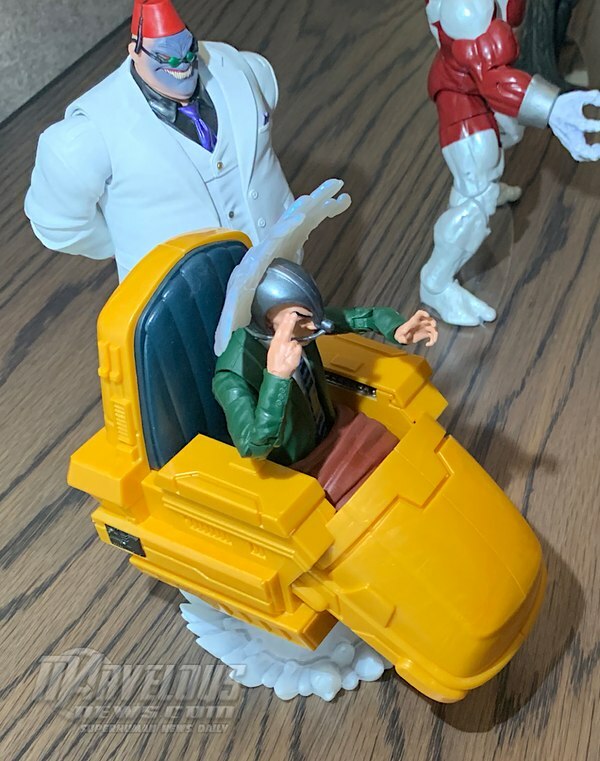 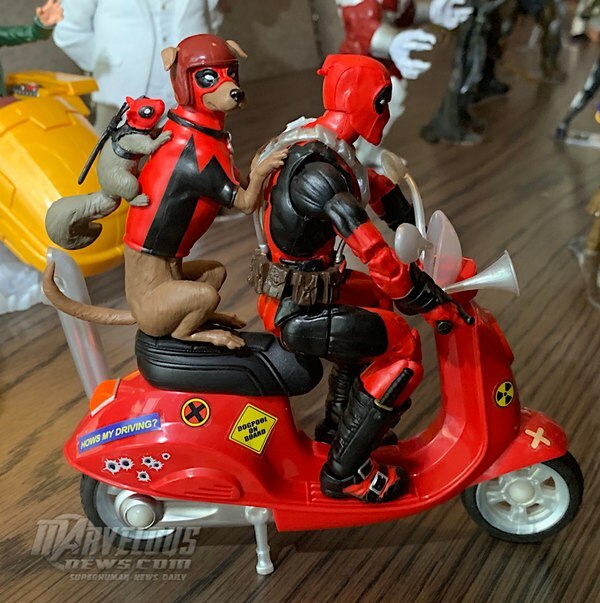 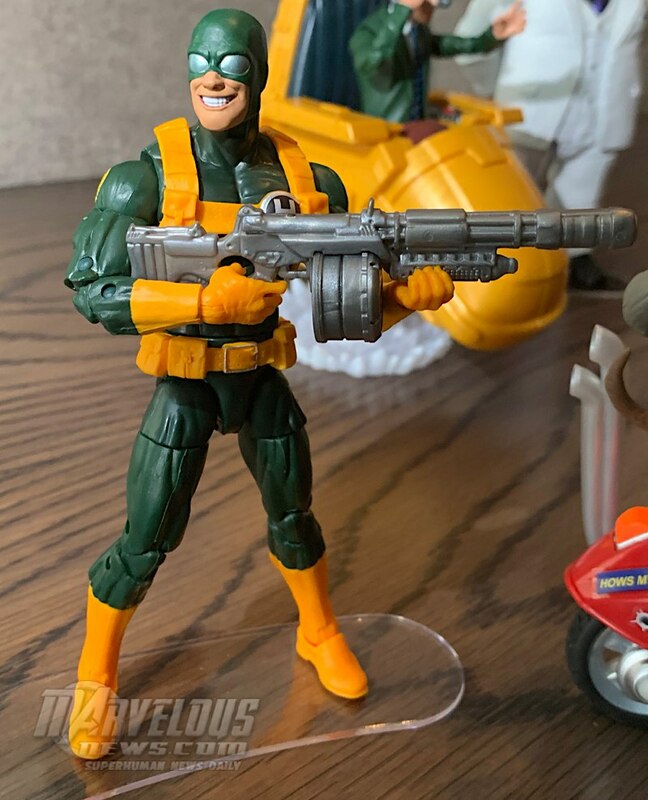 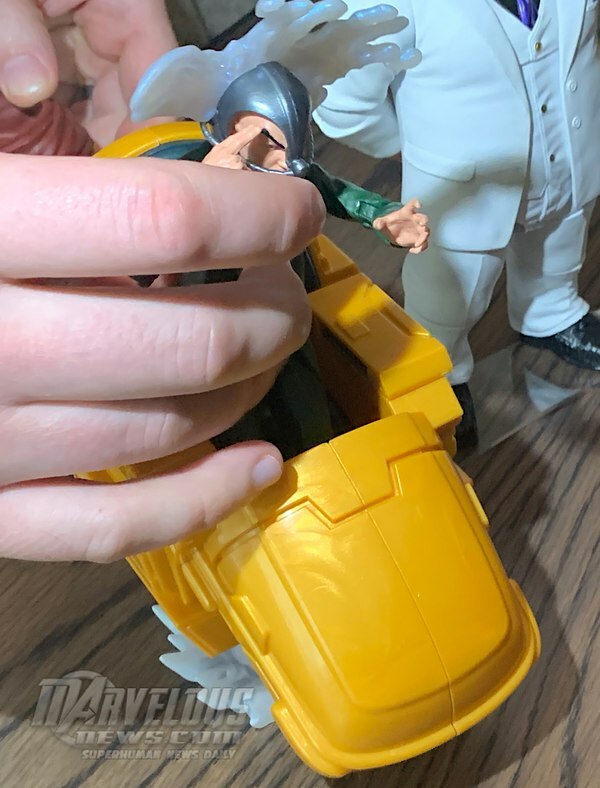 Hmmm... if Hasbro has a 6-inch-scale mold for a skateboard now, I wonder if that raises our chances of getting a Rocket Racer figure...? 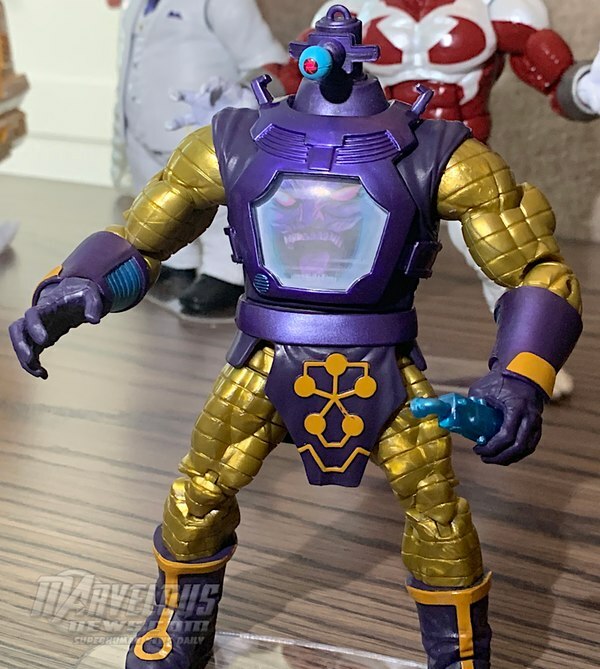 He'd be high on my list, such a randomly specific gimmick, but weirdly cheesey and cool. 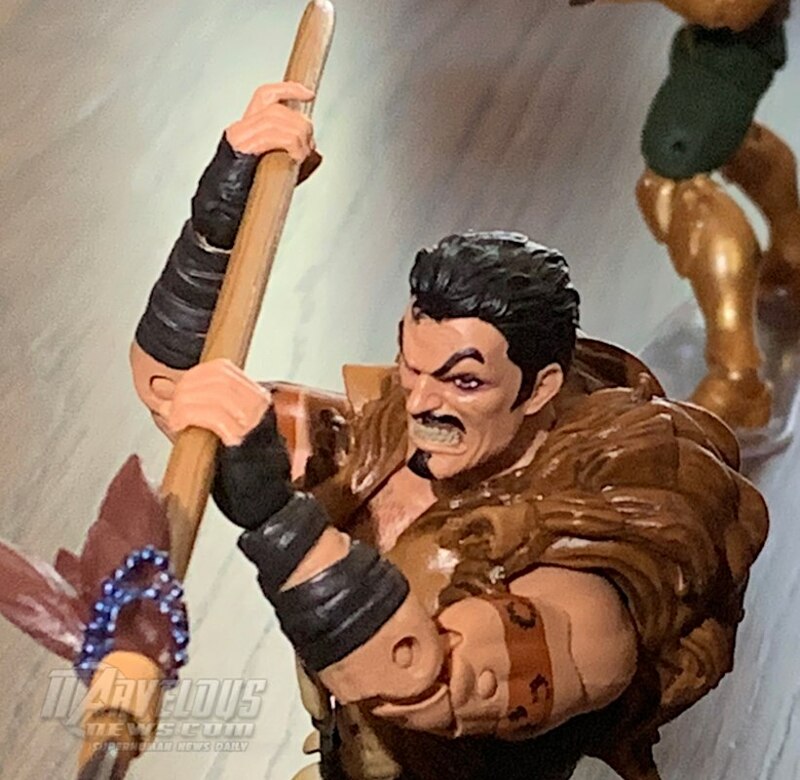 I still don't know why it has taken so long to get a Marvel Legends figure of Shang-Chi ("Master of Kung-Fu")- he would make for an awesome figure, with interchangeable hands and nunchaku, and could fit in most waves. 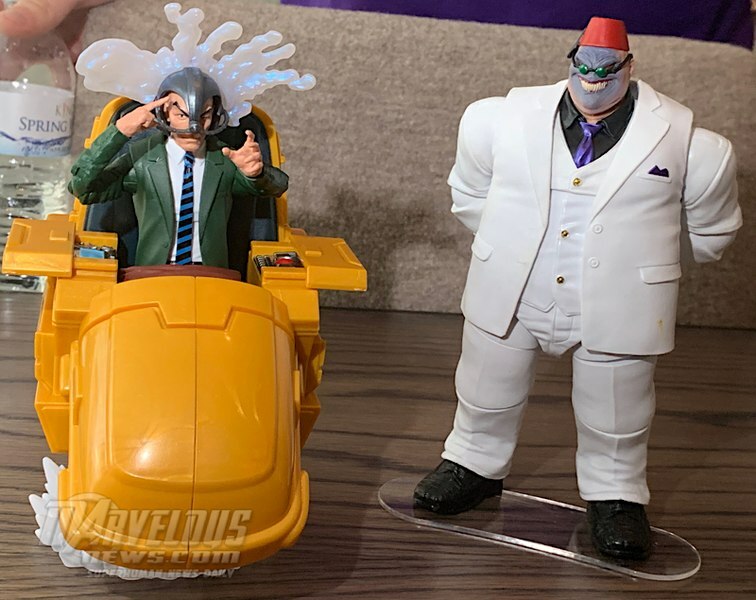 Nimrod & Strong Guy & a new Blob are like the only 3 X-related BAFs I will spend $$ on to get. 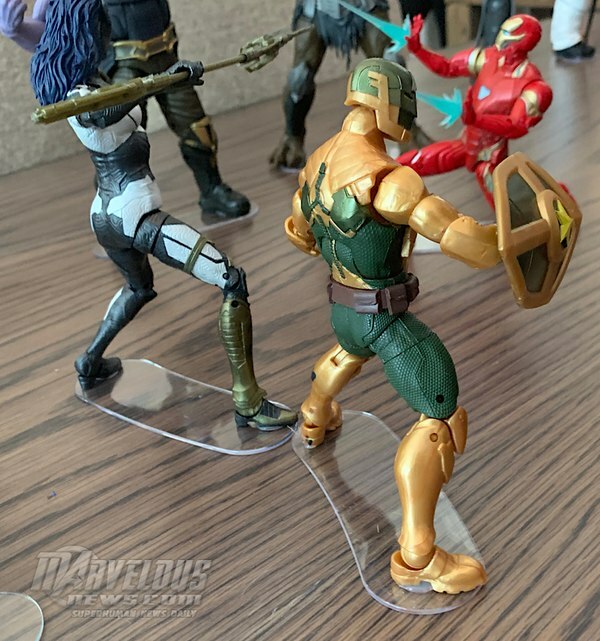 The other X-related BAFs have never really done anything for me. 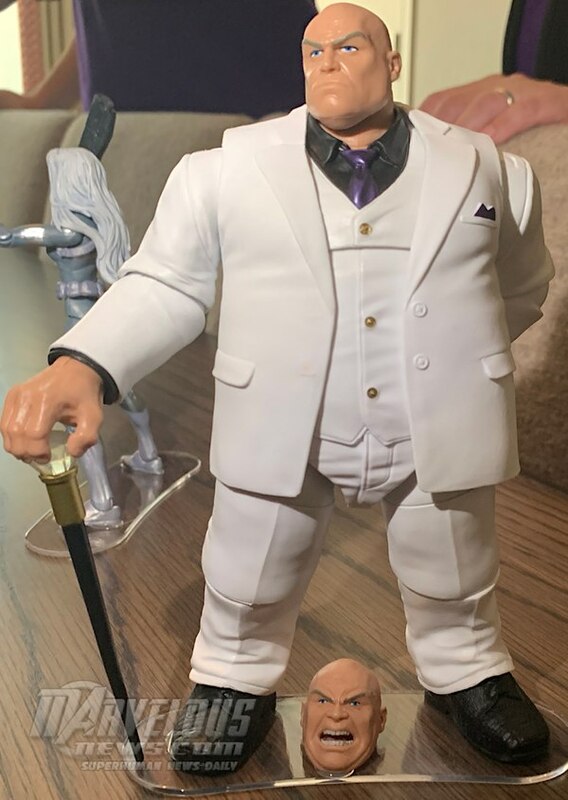 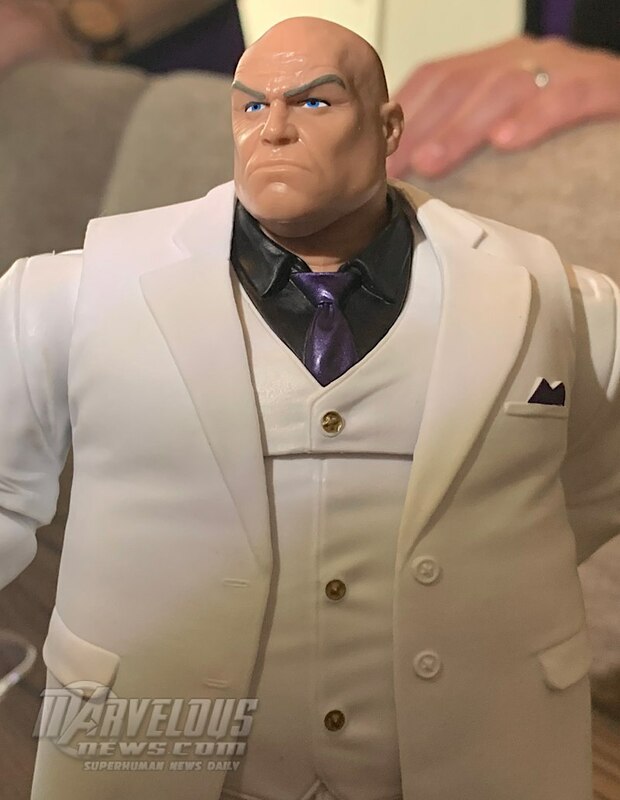 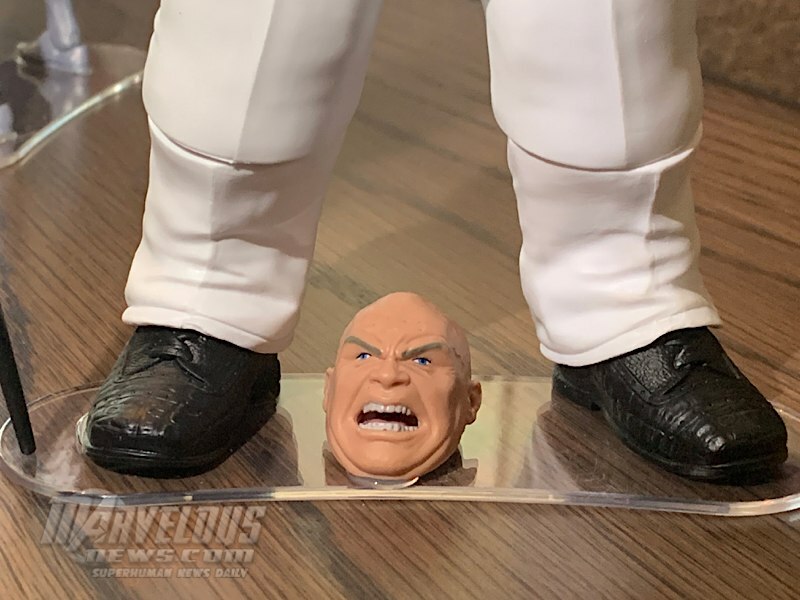 When it comes to the Blob, Hasbro will be hard pressed to top it. 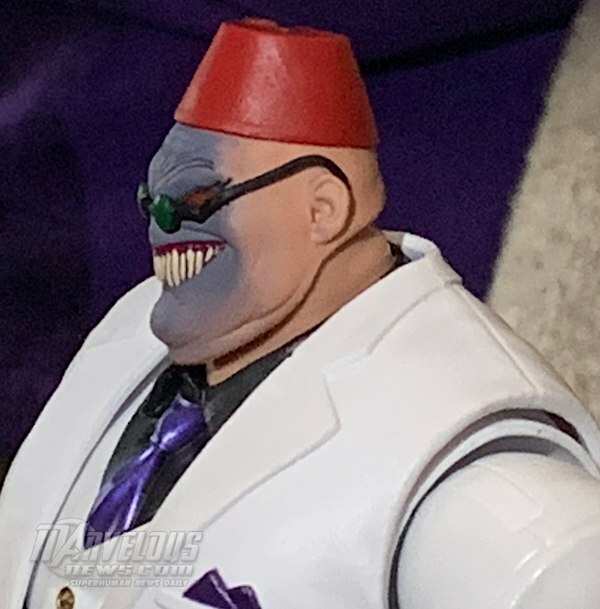 Yeah, the sculpt on The Blob is fantastic. 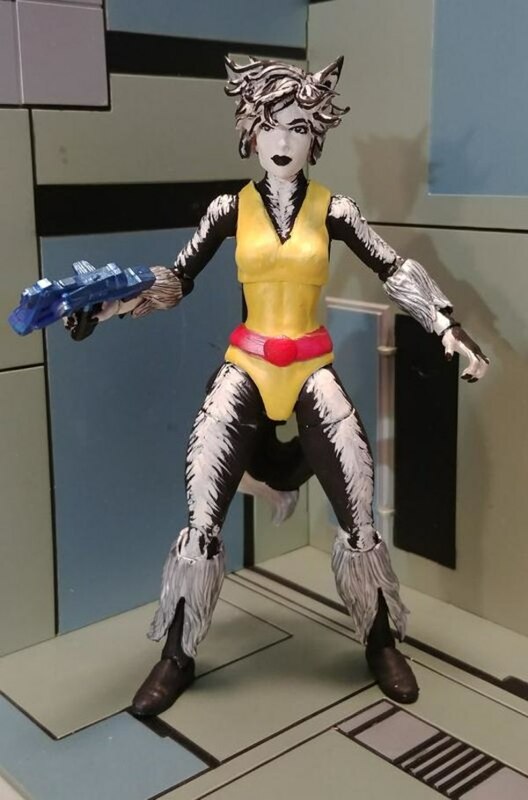 I wouldn't mind a repaint that looked a little less glossy, and wasn't made of that speckled plastic. 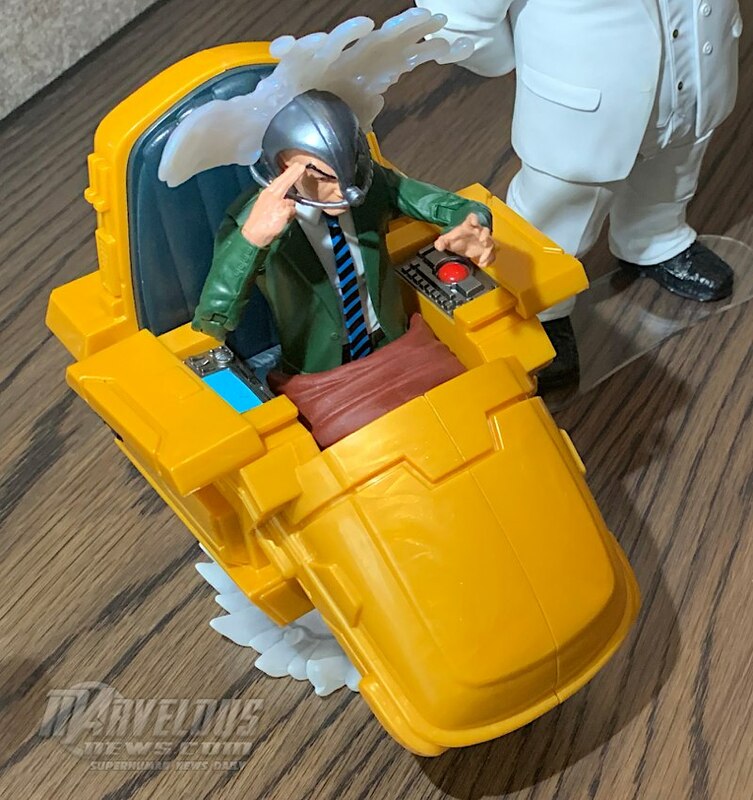 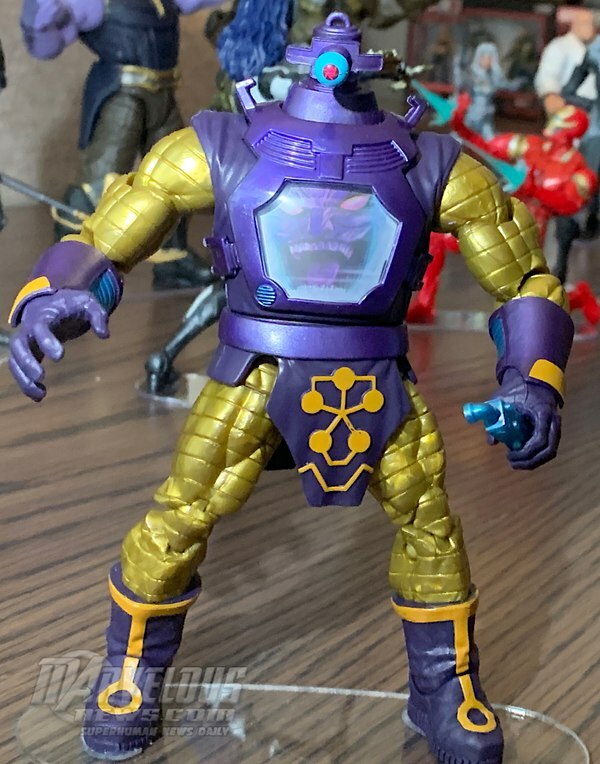 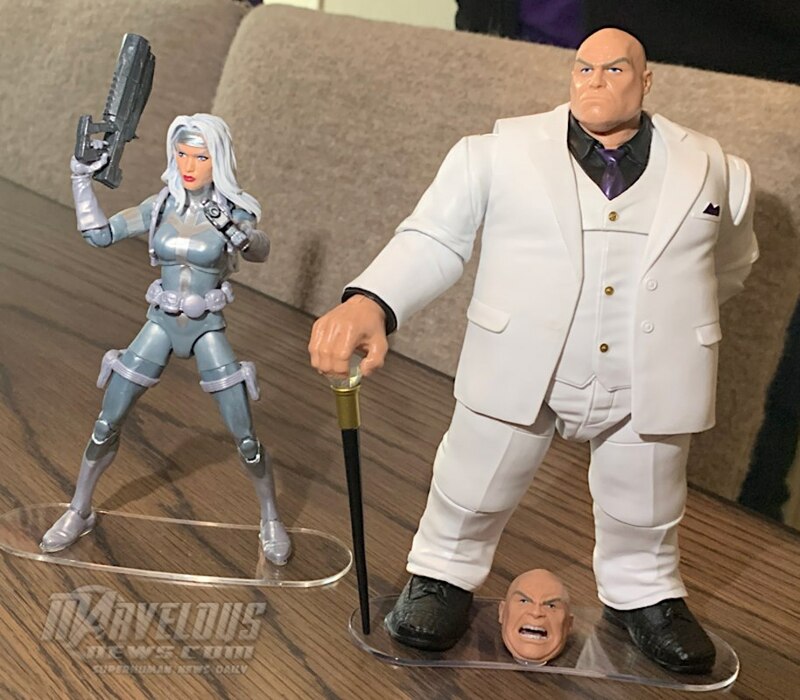 A "Brotherhood of Evil Mutants" set with that, a repaint of the rare Magneto from the Jubilee wave, a new Silver-Age Quicksilver, to-scale and fully posable Toad, and Mastermind would make for a great SDCC set. 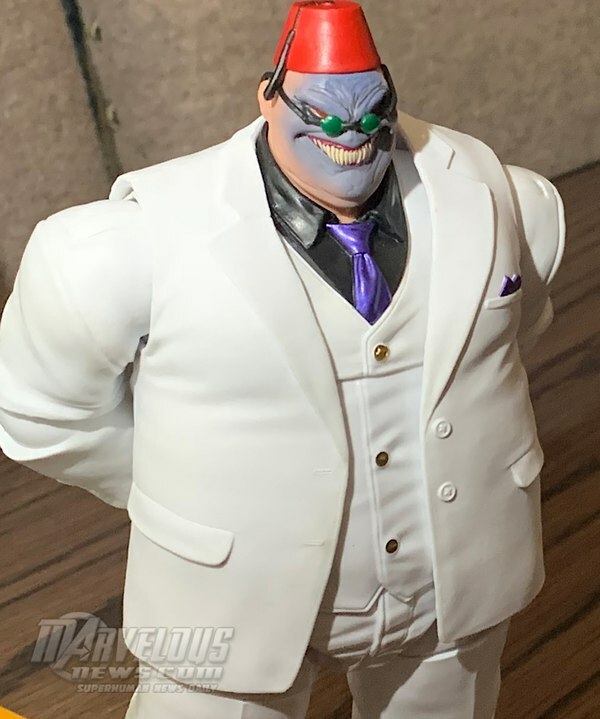 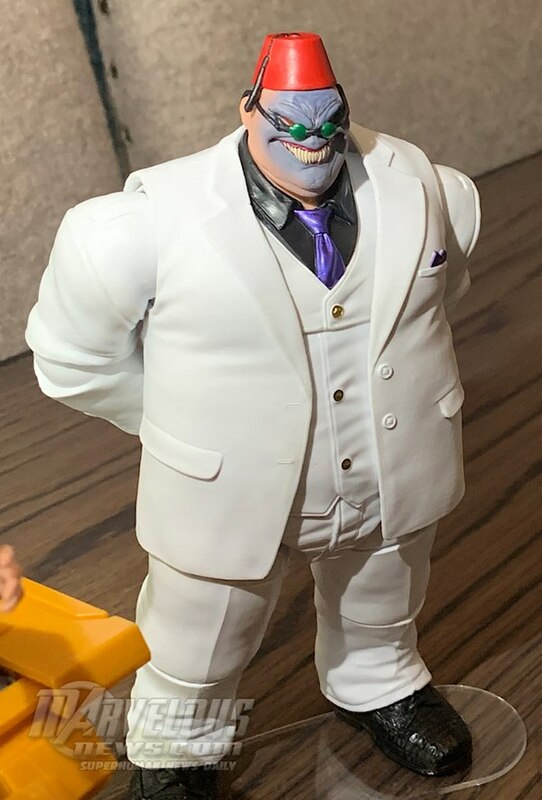 Since he'd have solid demand, Toad could be repainted in a later wave of regular figures.